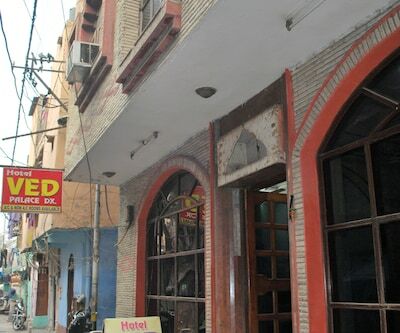 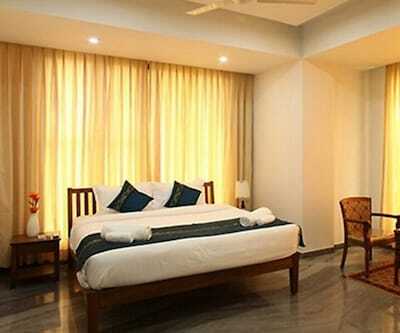 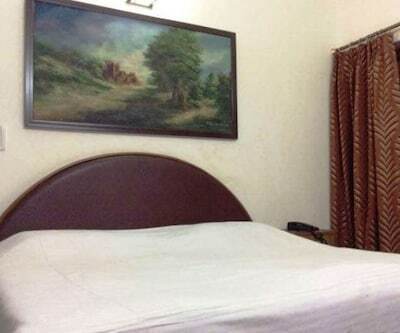 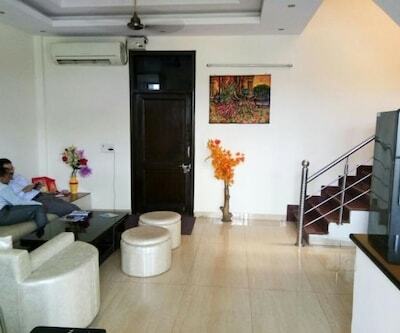 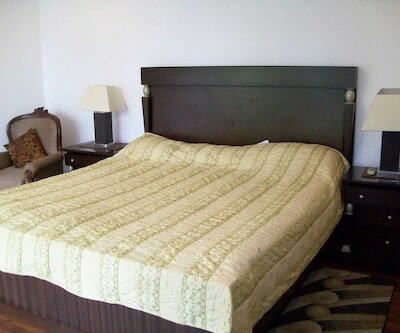 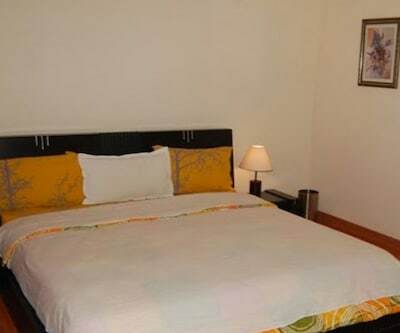 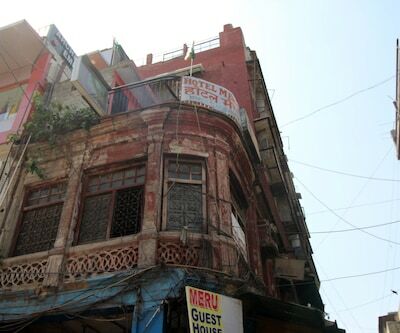 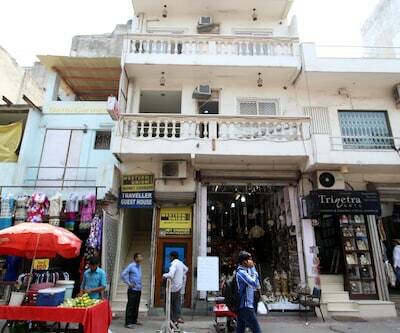 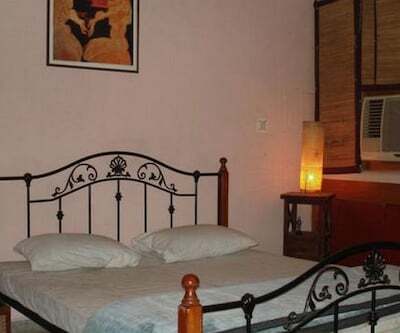 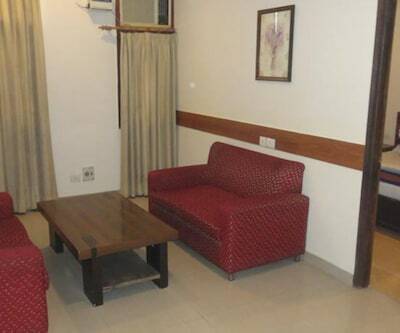 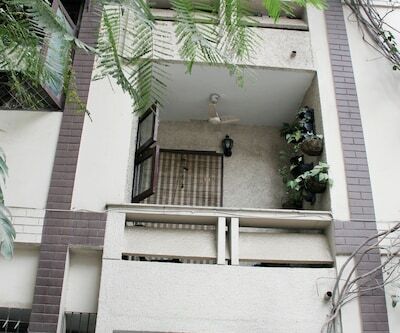 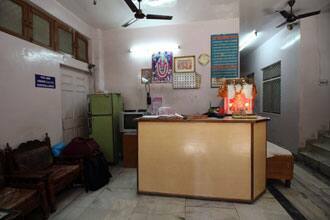 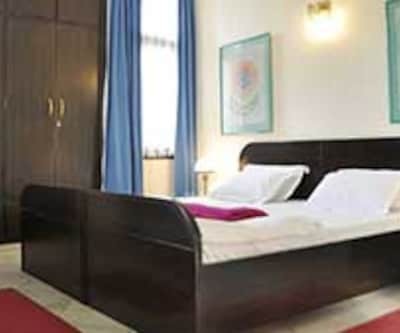 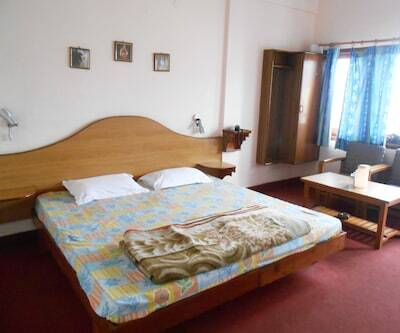 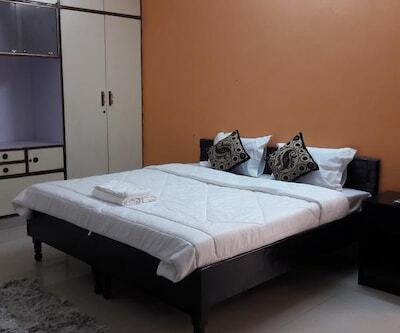 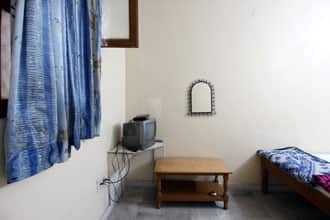 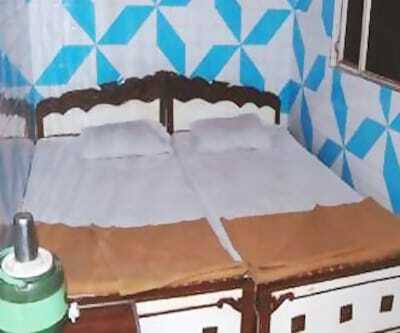 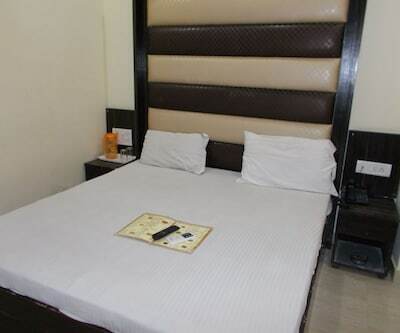 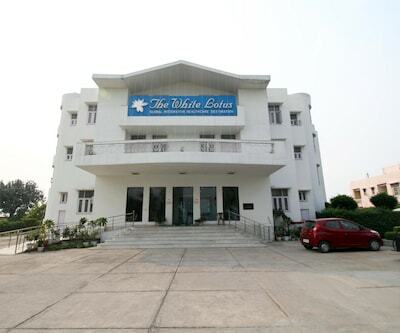 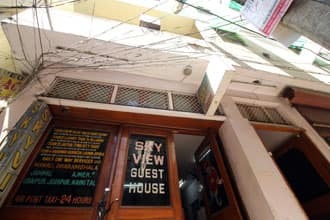 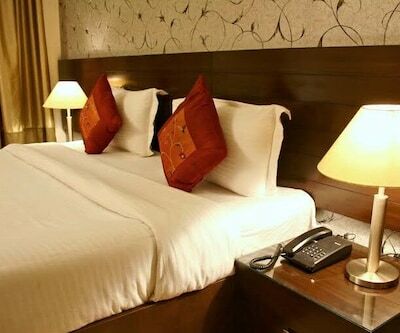 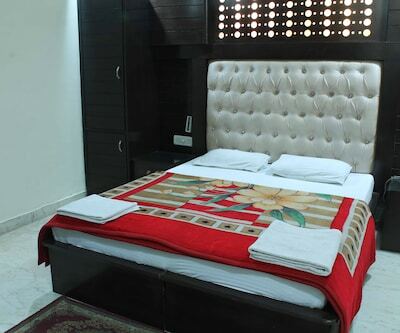 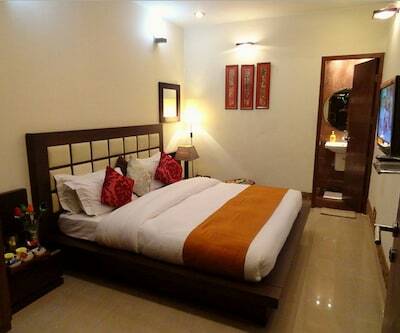 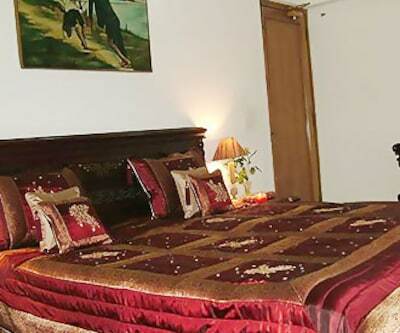 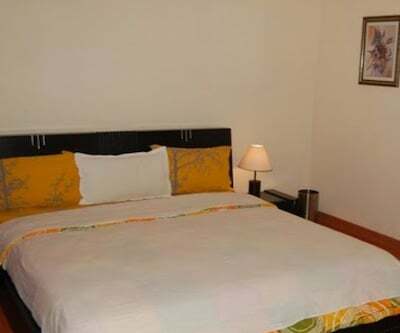 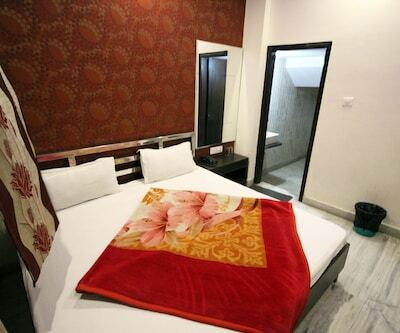 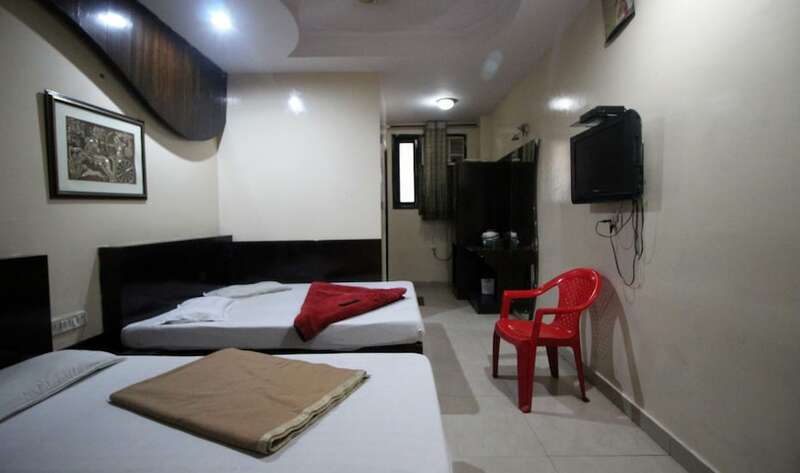 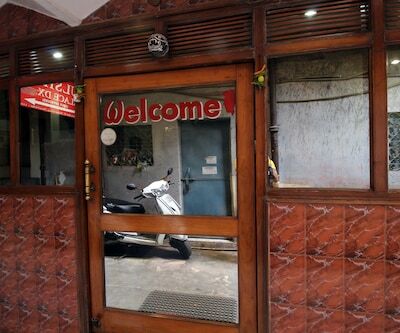 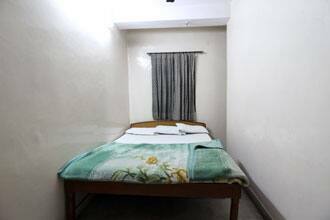 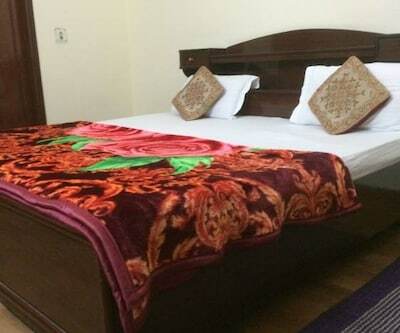 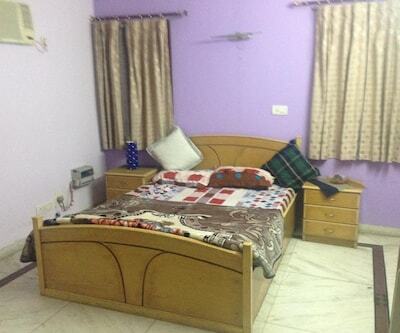 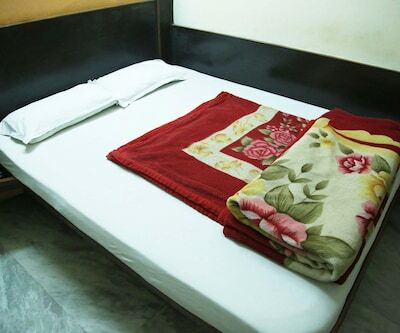 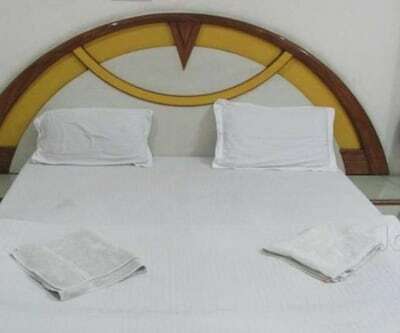 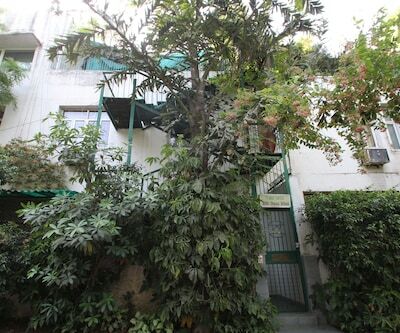 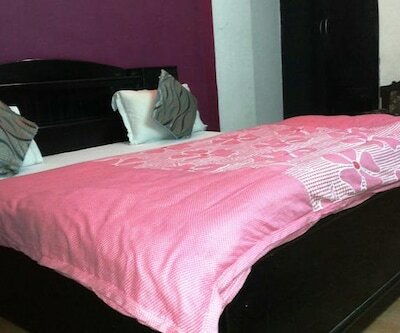 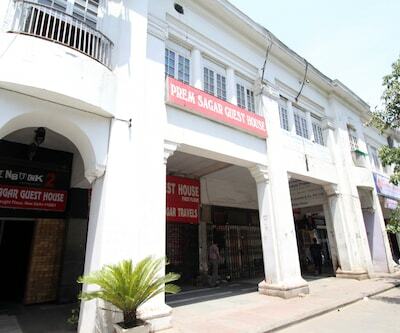 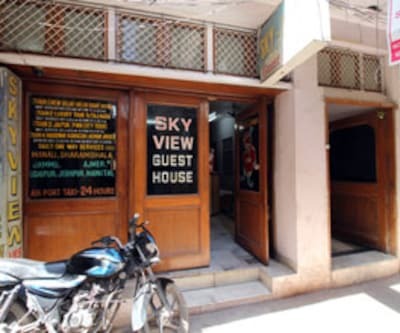 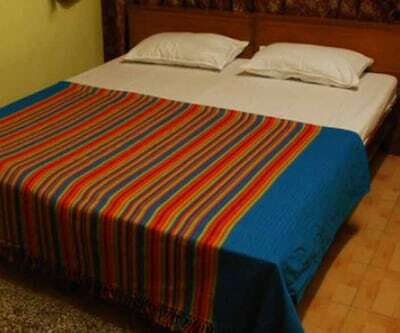 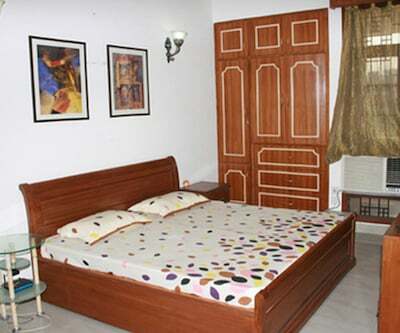 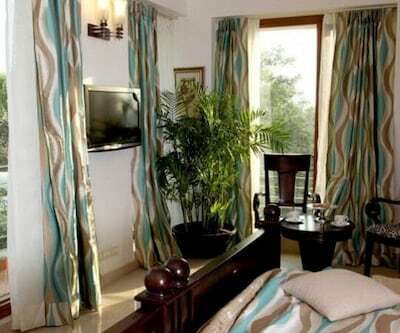 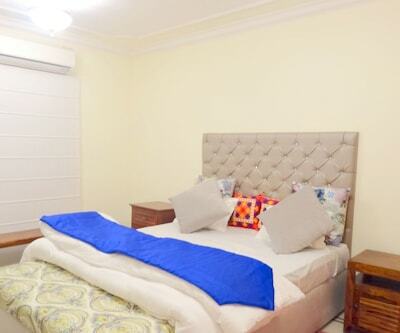 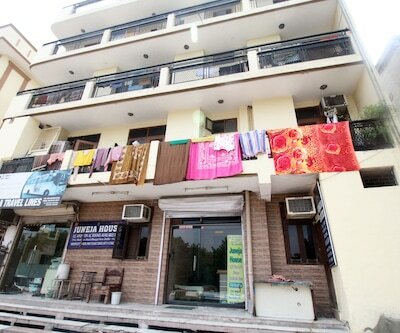 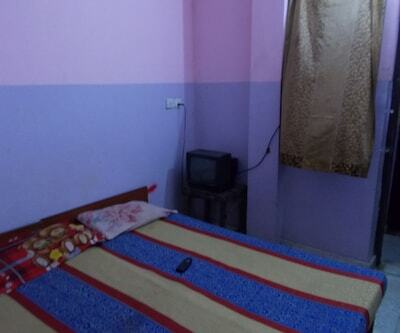 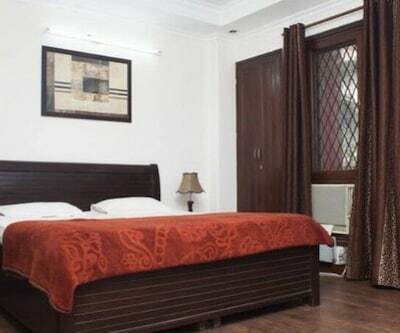 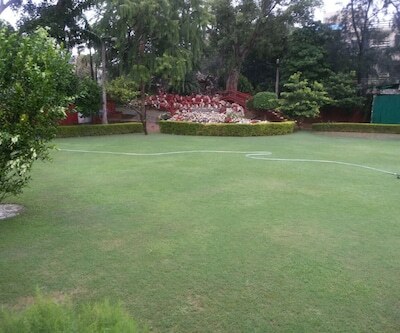 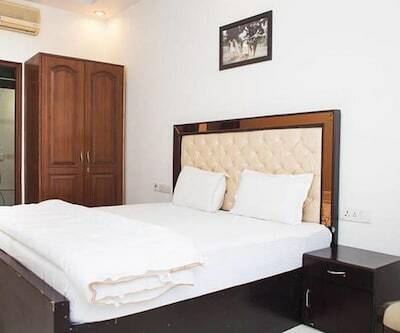 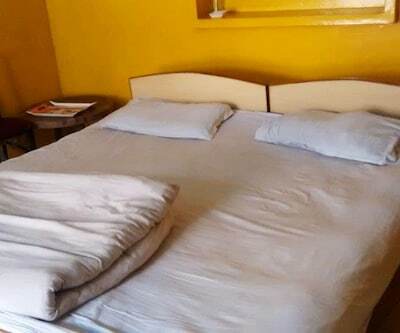 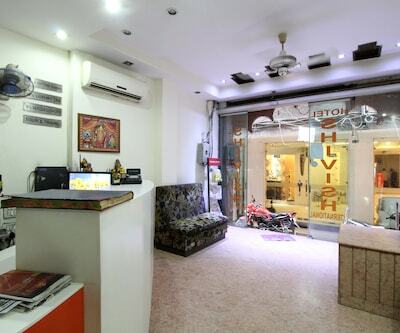 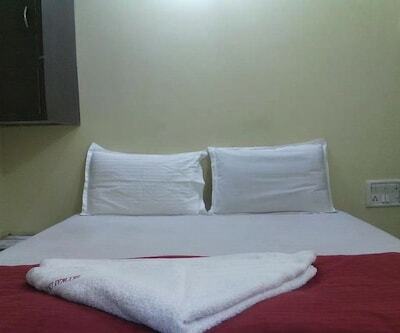 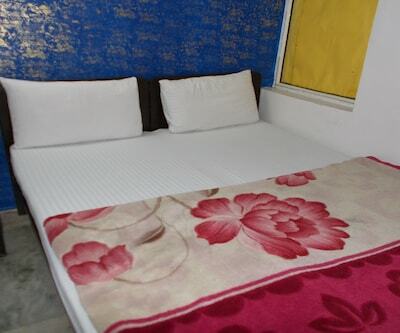 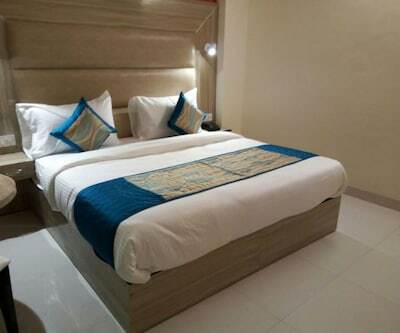 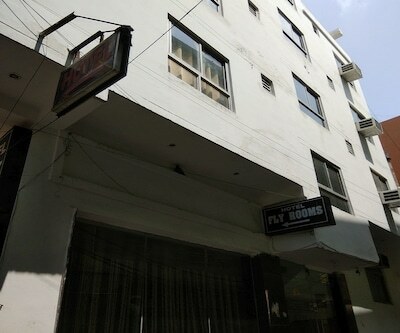 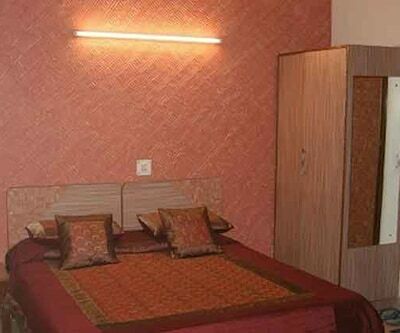 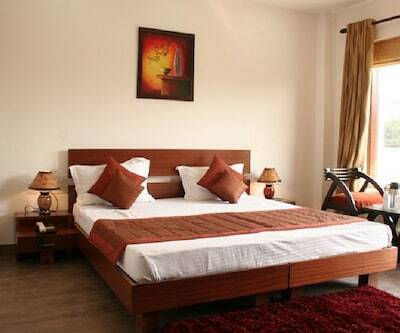 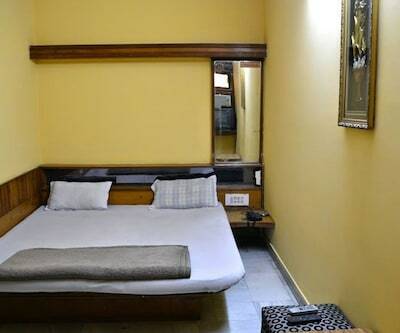 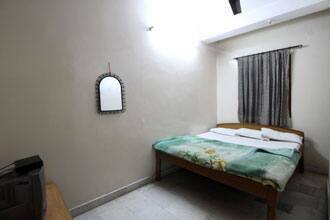 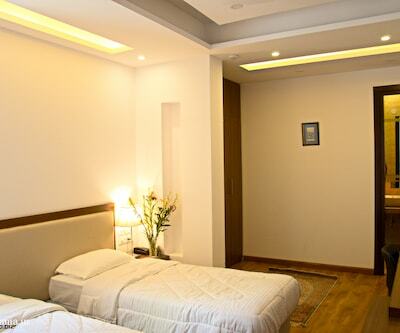 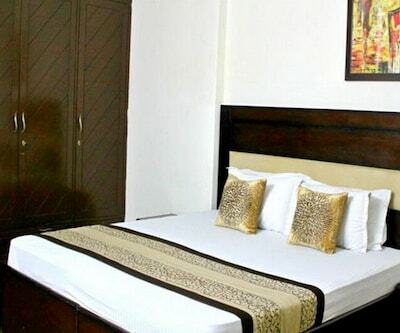 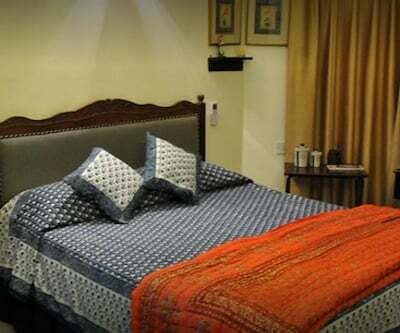 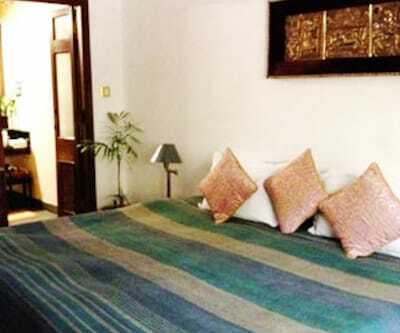 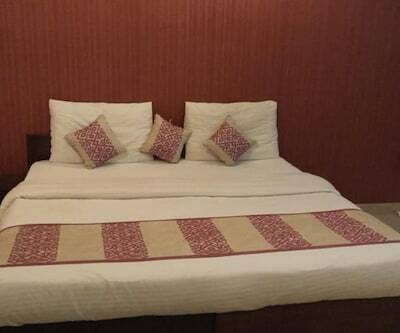 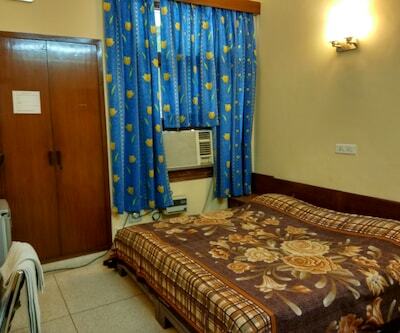 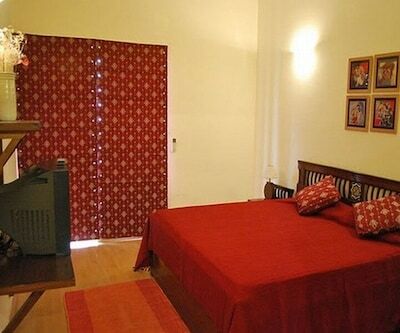 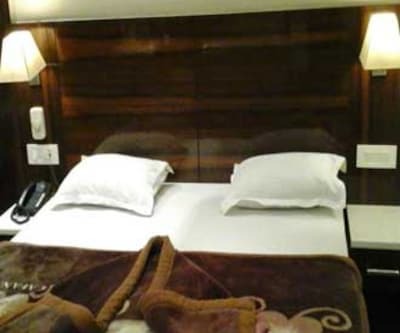 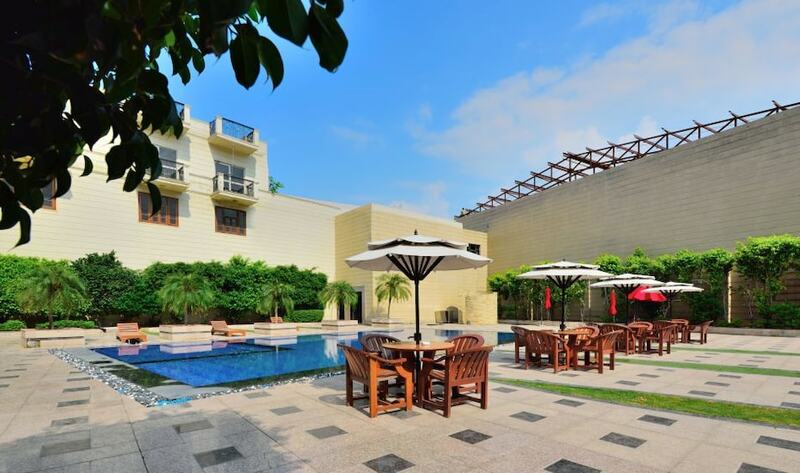 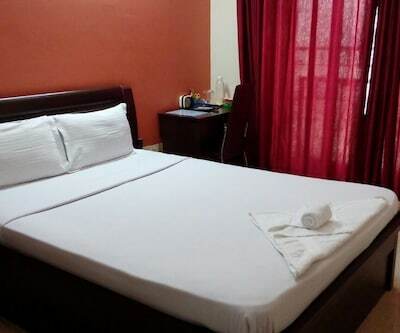 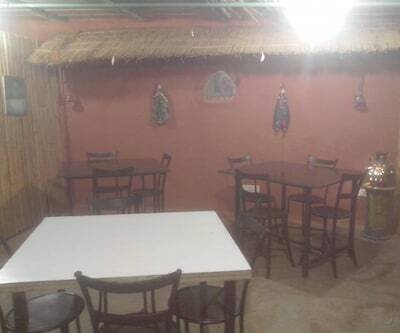 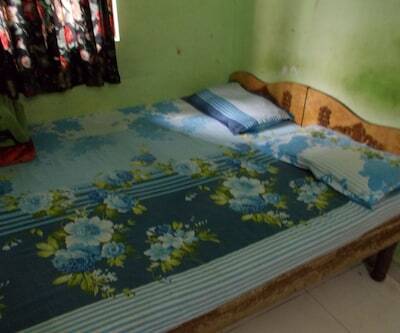 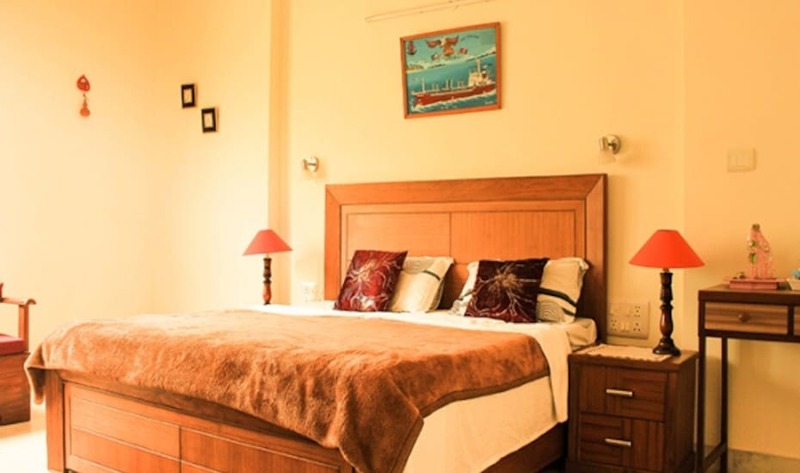 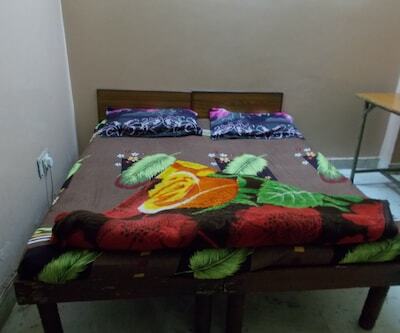 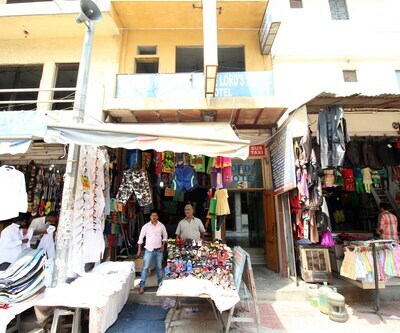 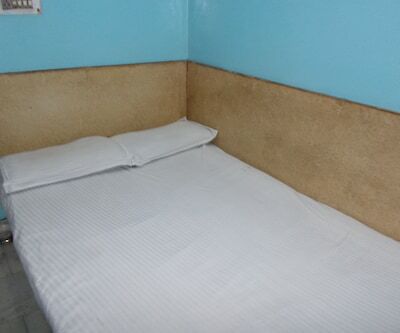 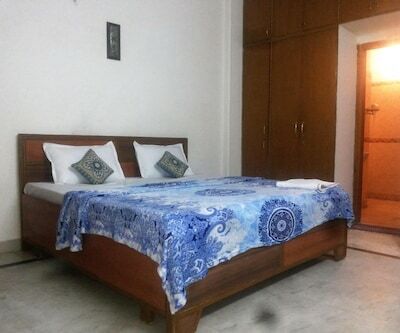 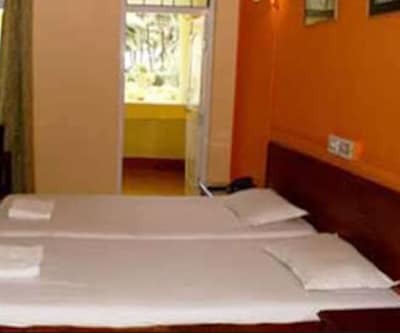 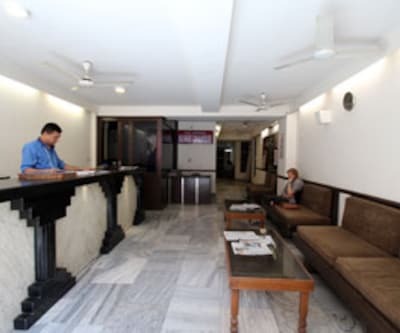 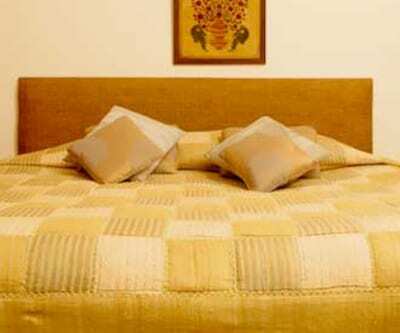 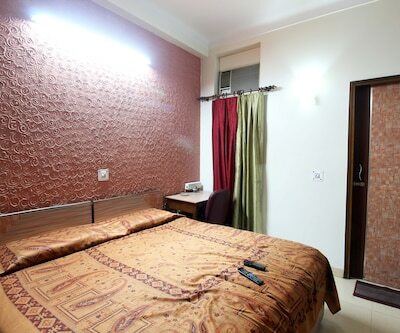 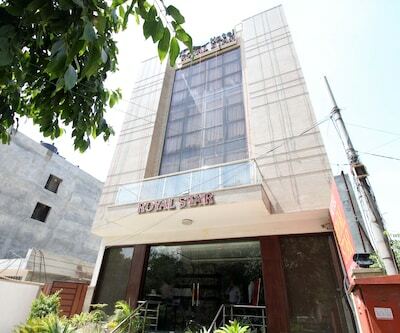 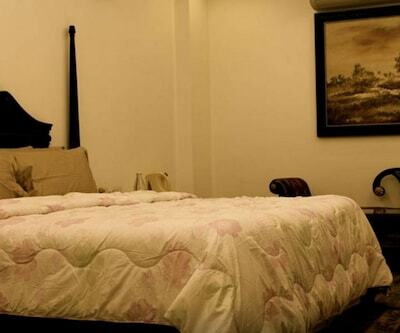 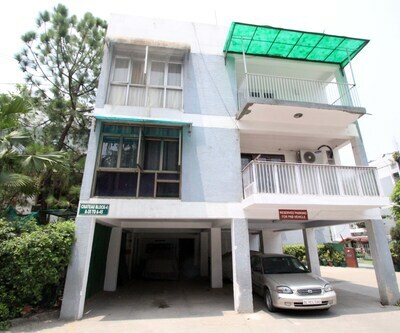 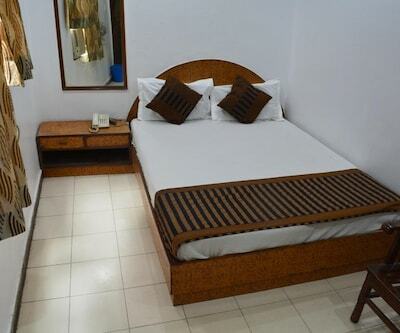 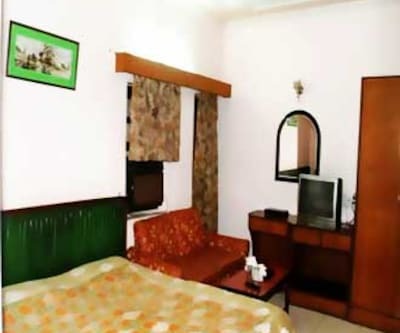 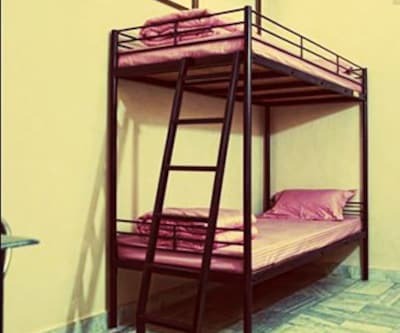 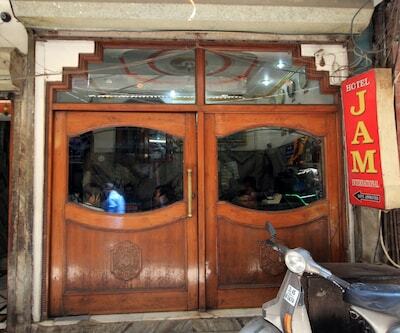 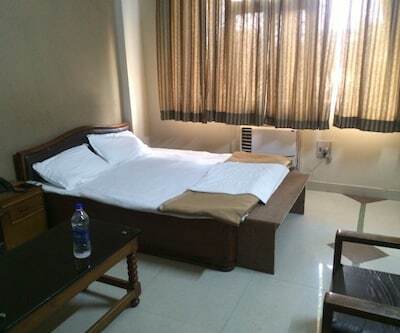 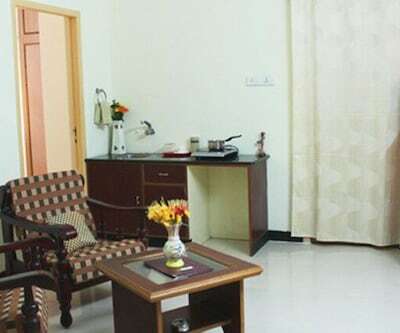 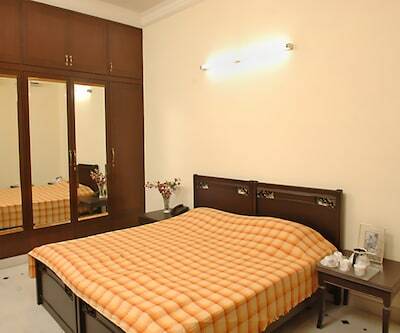 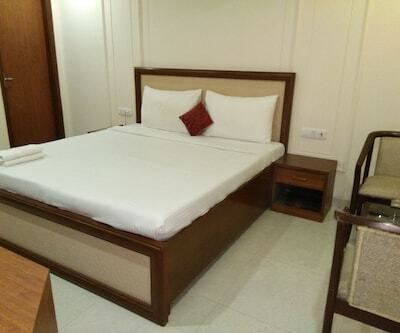 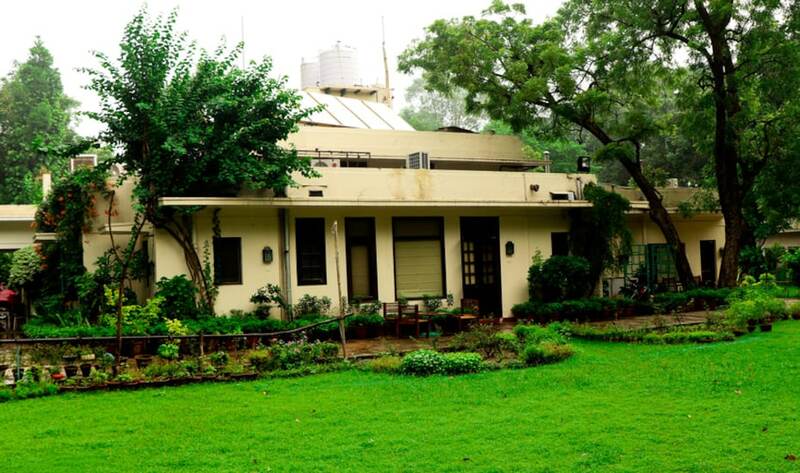 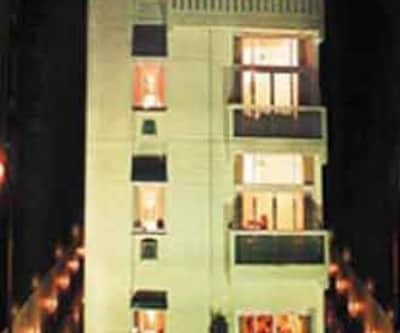 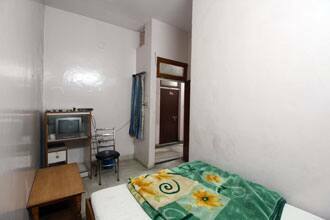 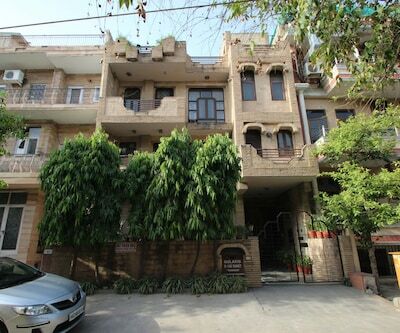 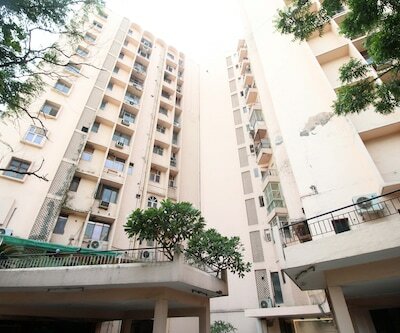 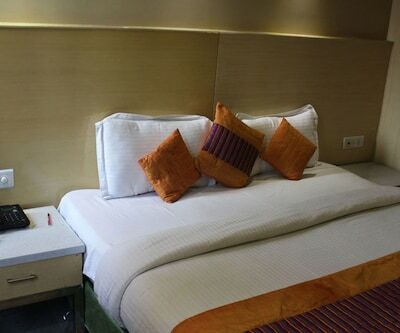 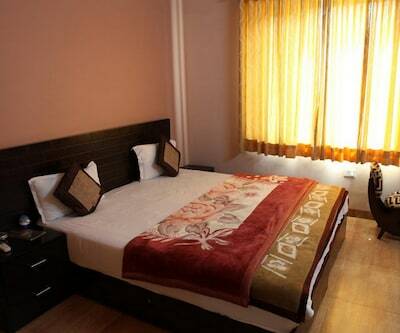 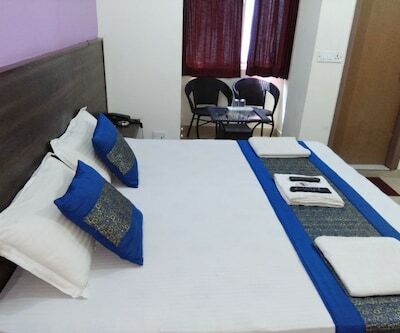 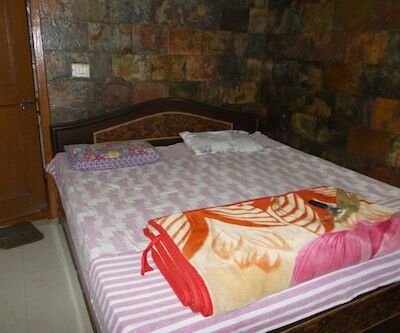 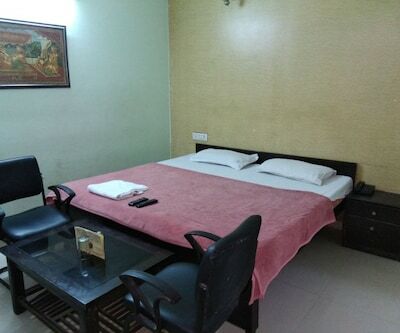 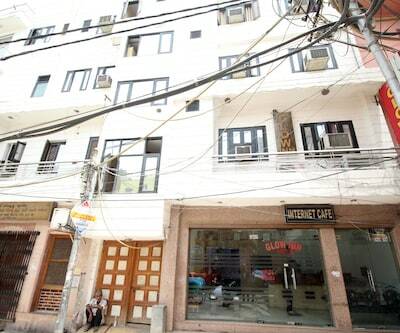 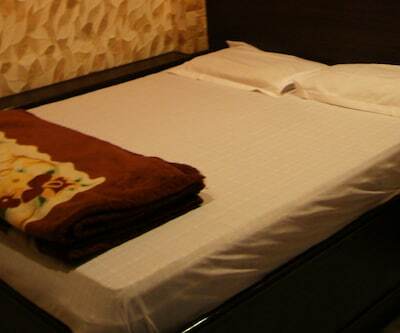 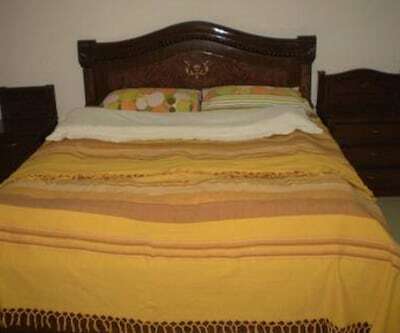 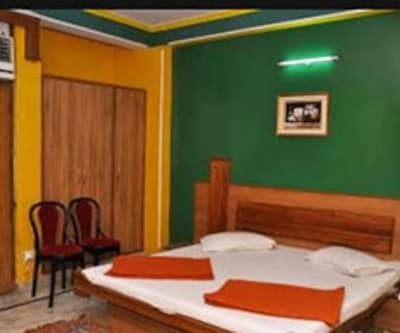 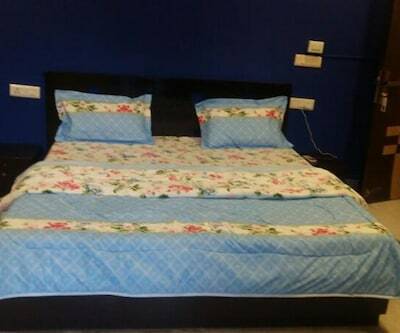 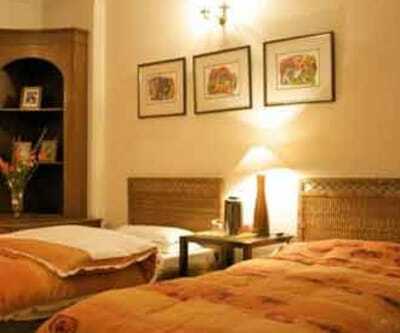 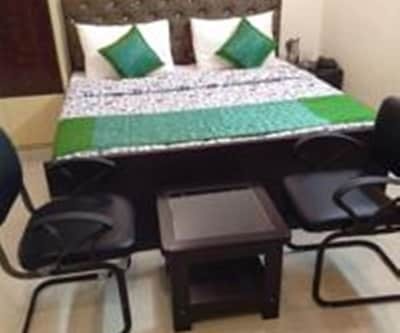 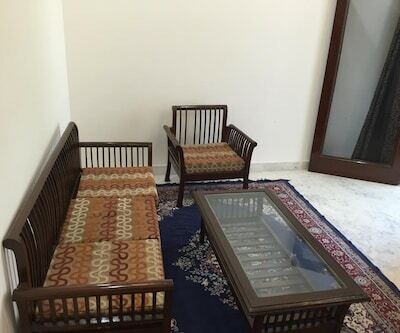 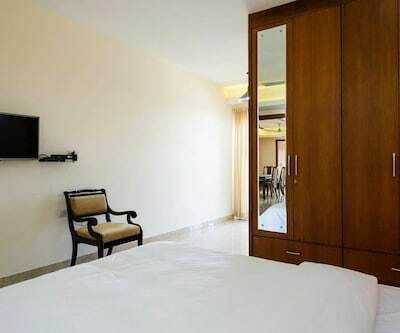 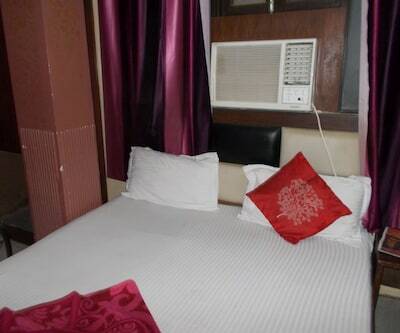 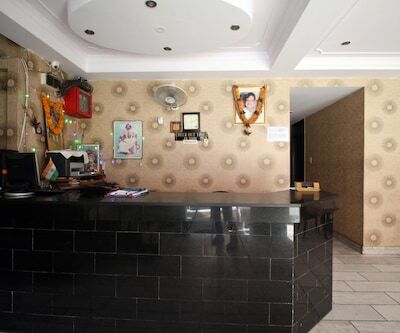 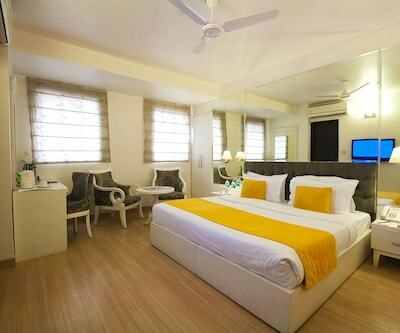 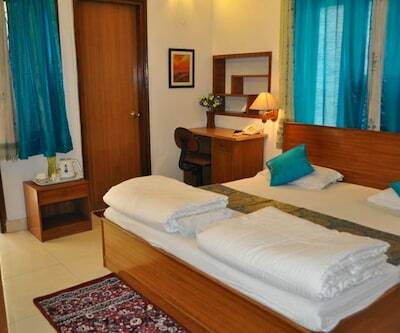 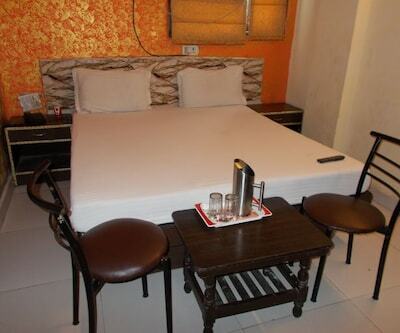 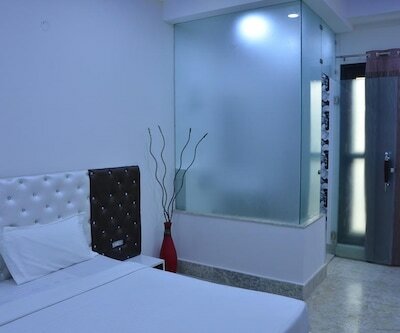 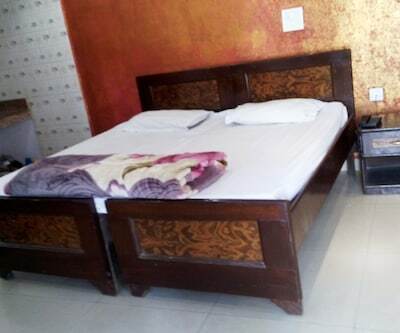 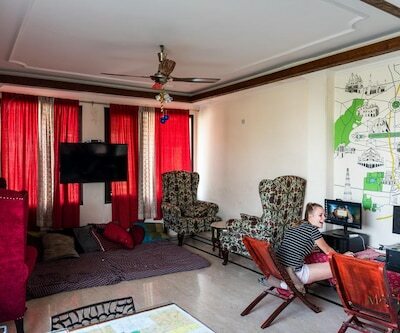 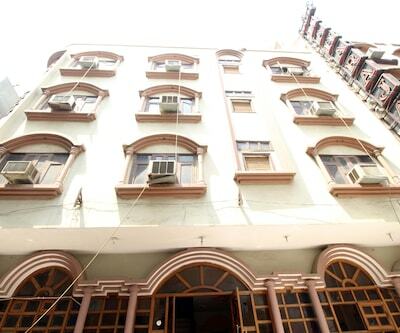 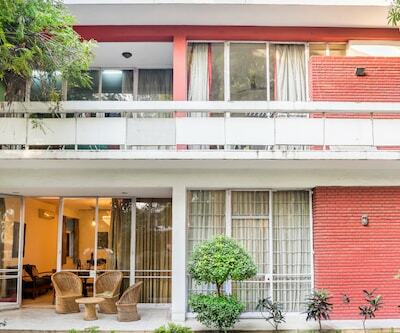 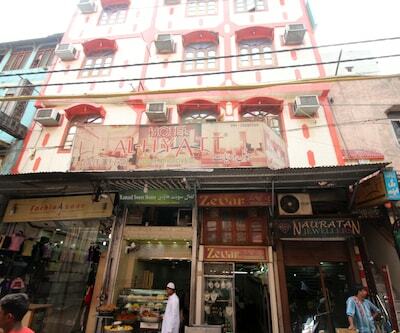 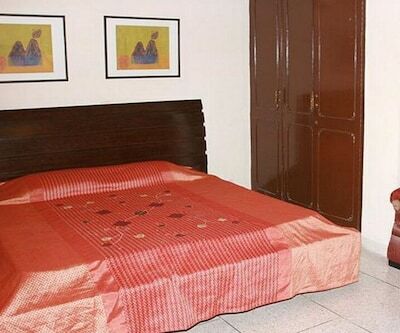 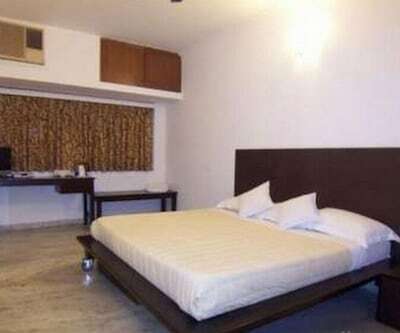 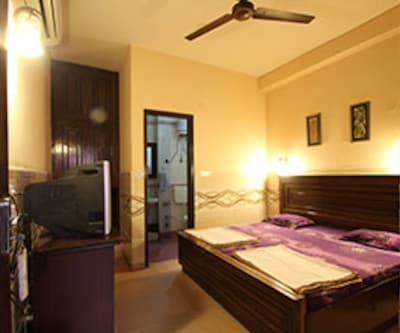 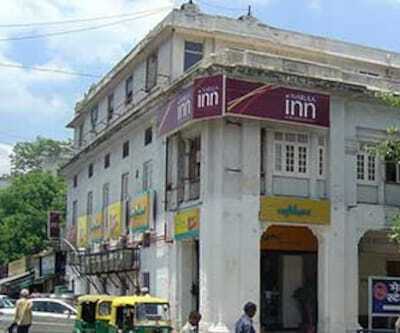 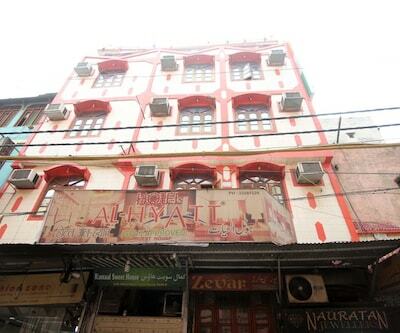 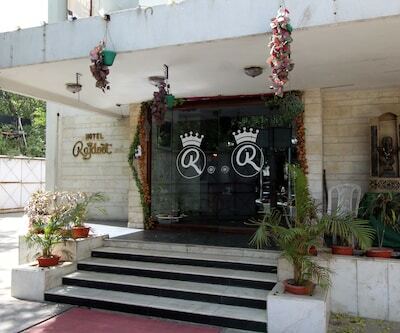 Located at 5 km from the Red Fort, Sky-View Guest House offers Wi-Fi internet access to its guests. 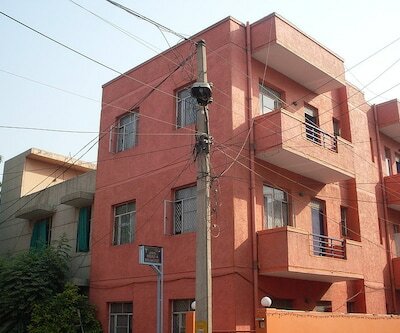 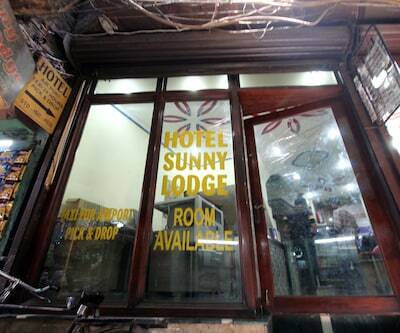 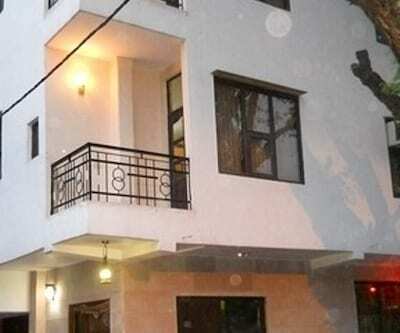 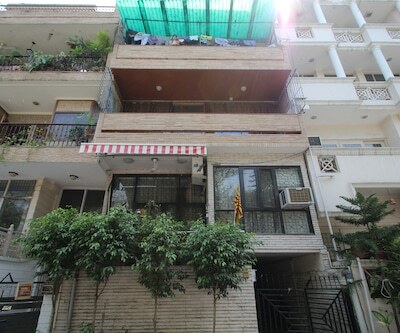 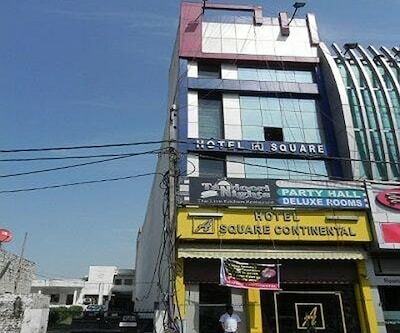 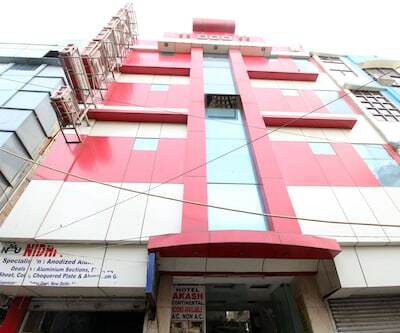 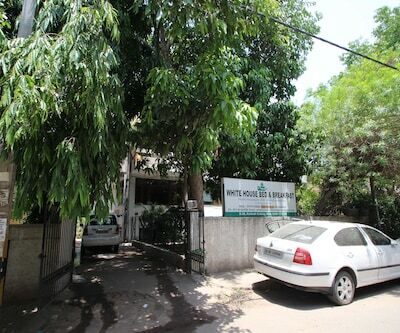 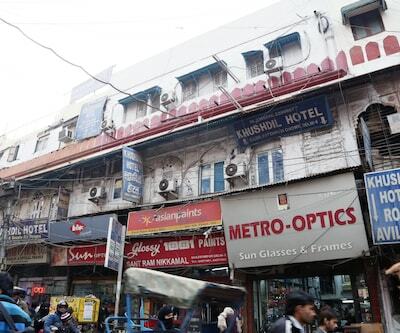 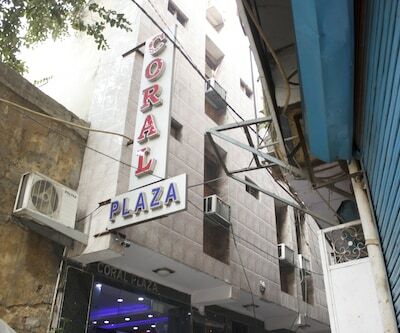 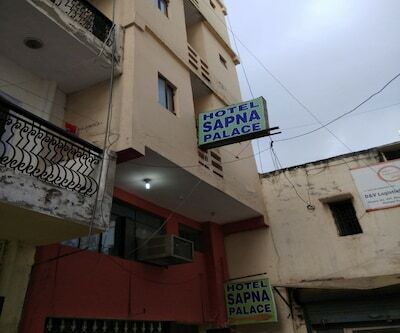 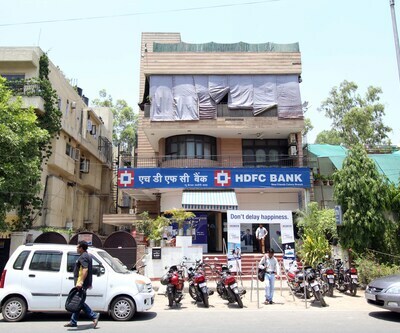 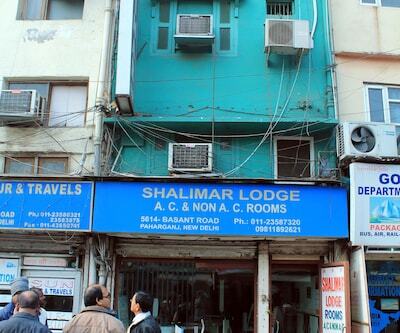 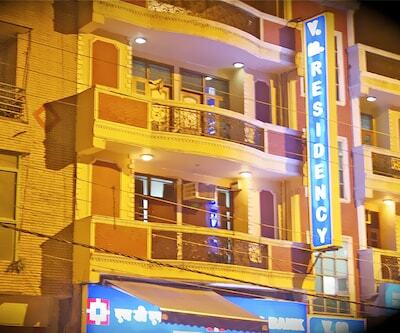 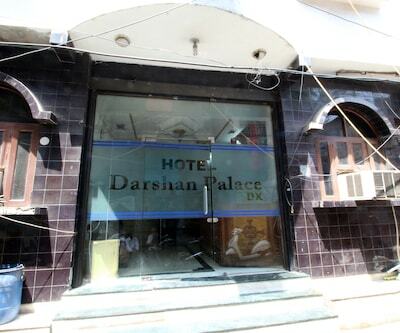 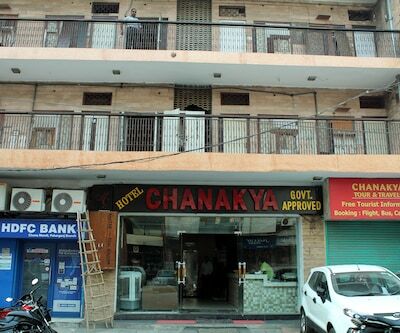 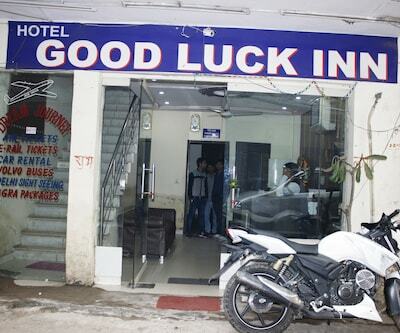 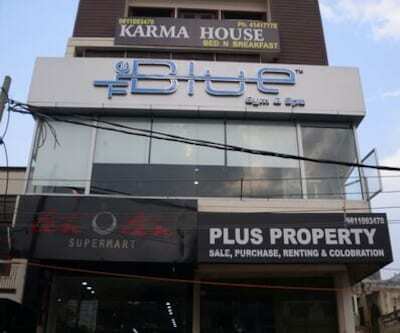 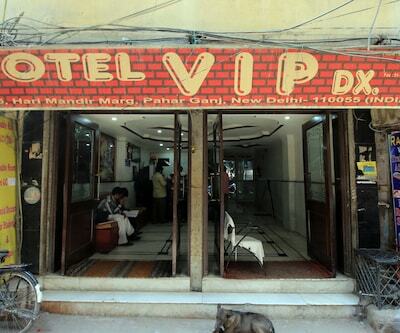 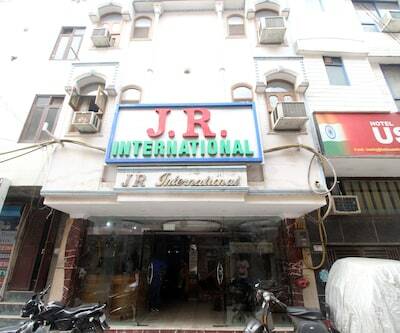 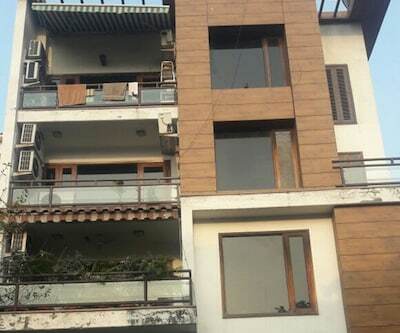 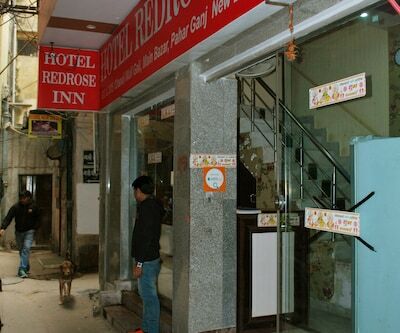 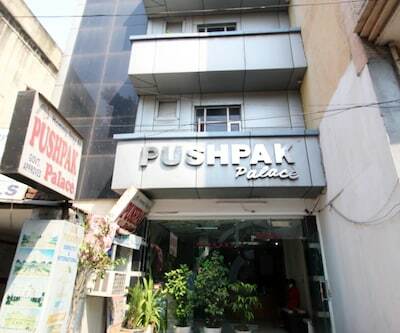 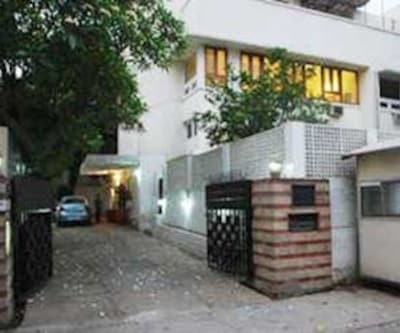 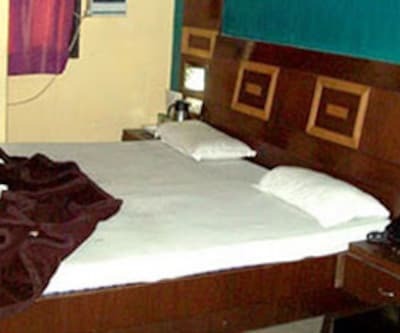 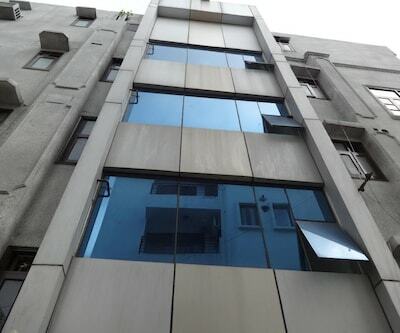 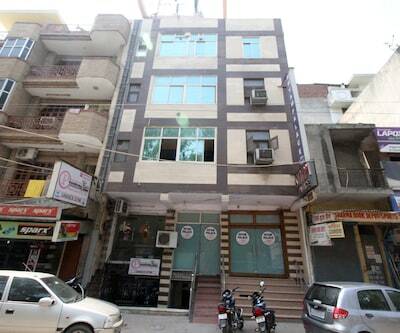 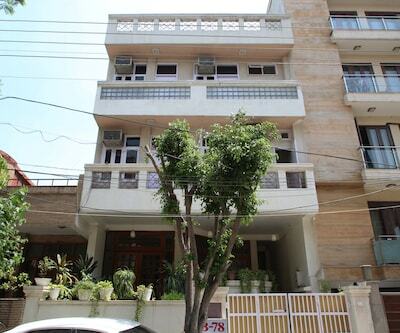 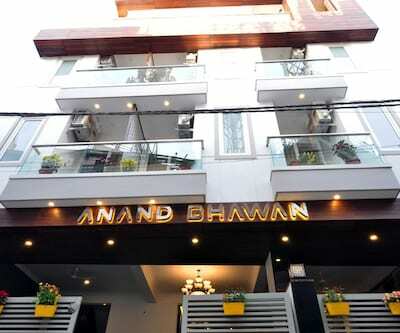 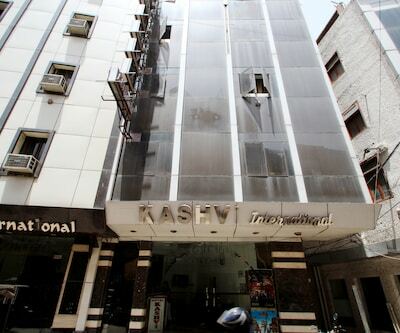 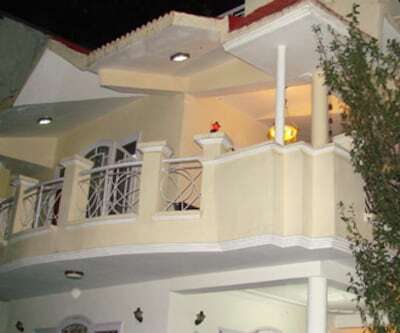 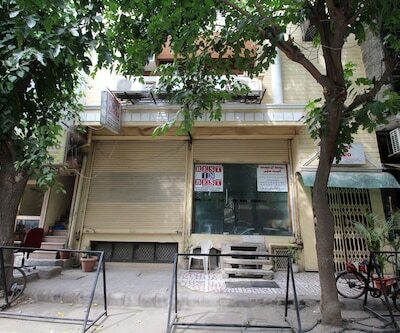 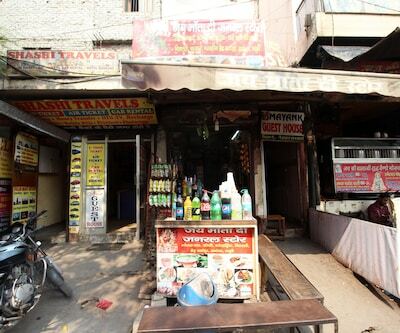 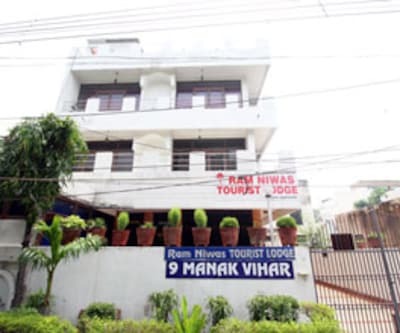 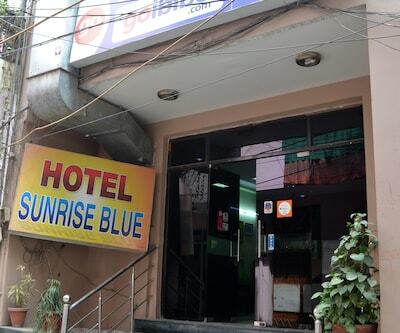 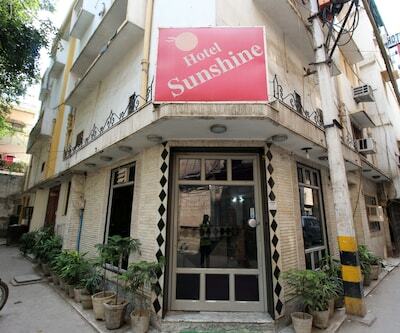 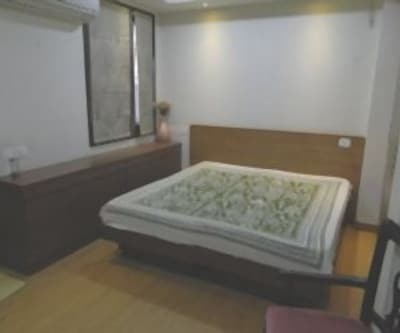 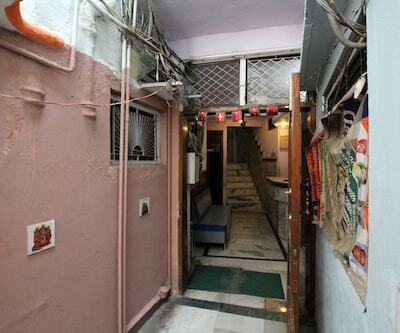 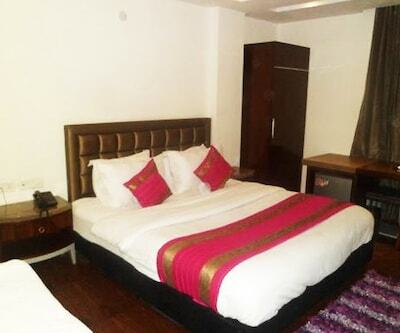 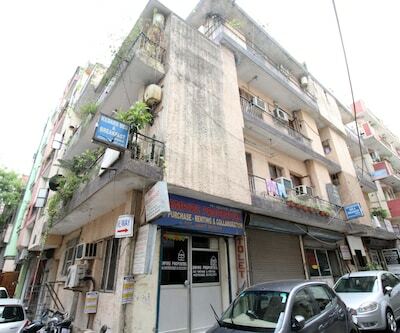 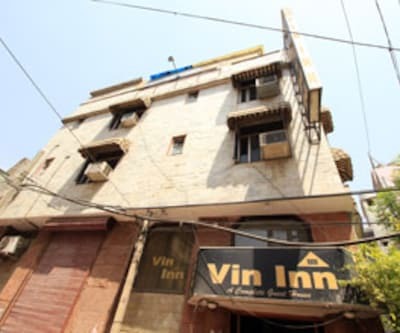 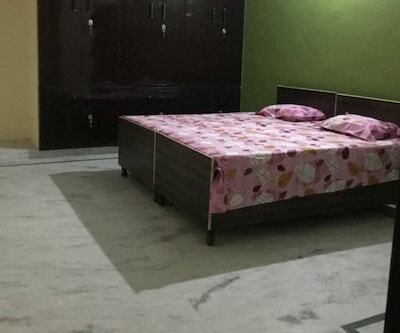 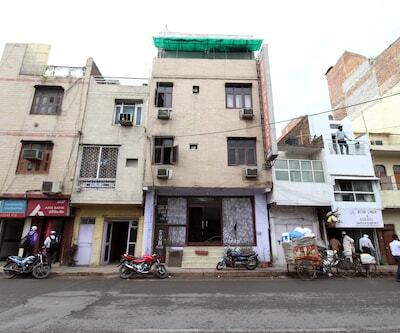 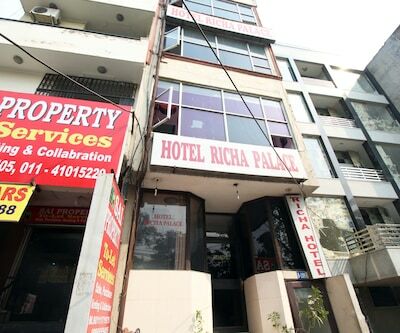 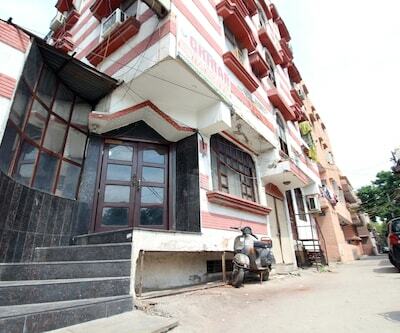 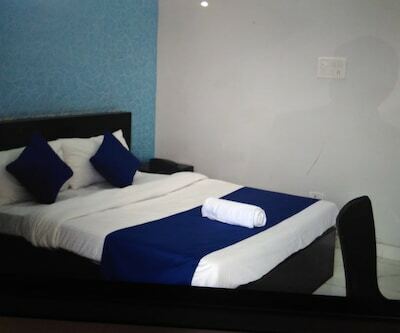 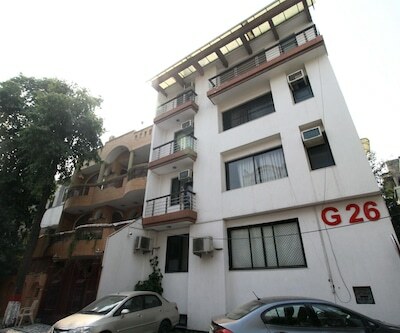 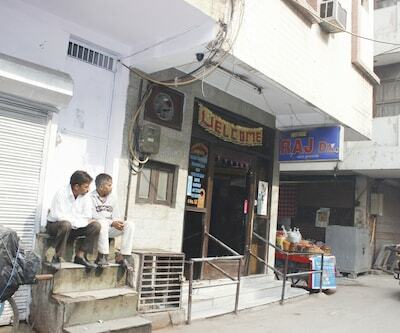 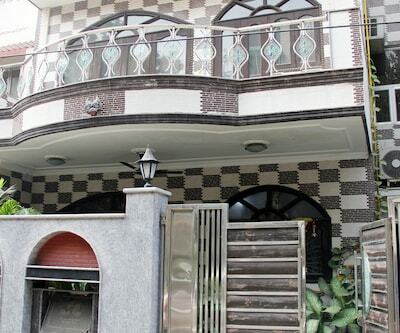 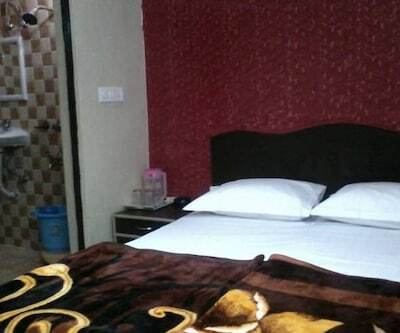 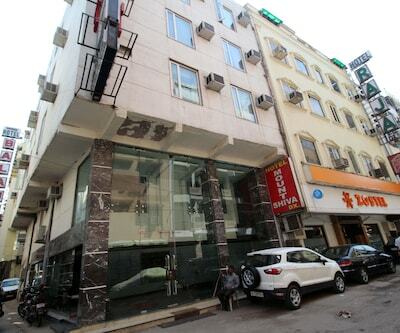 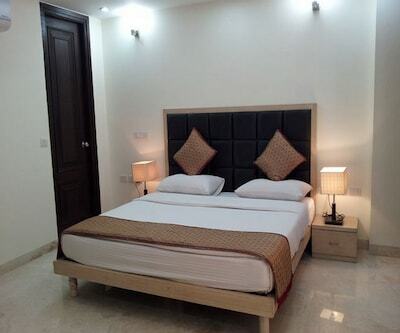 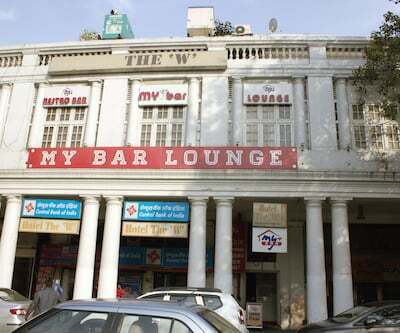 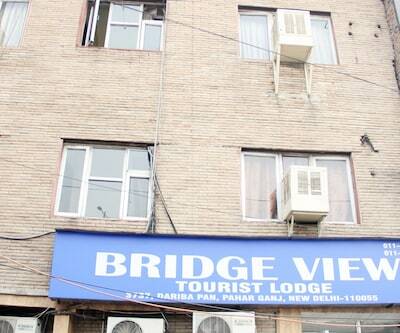 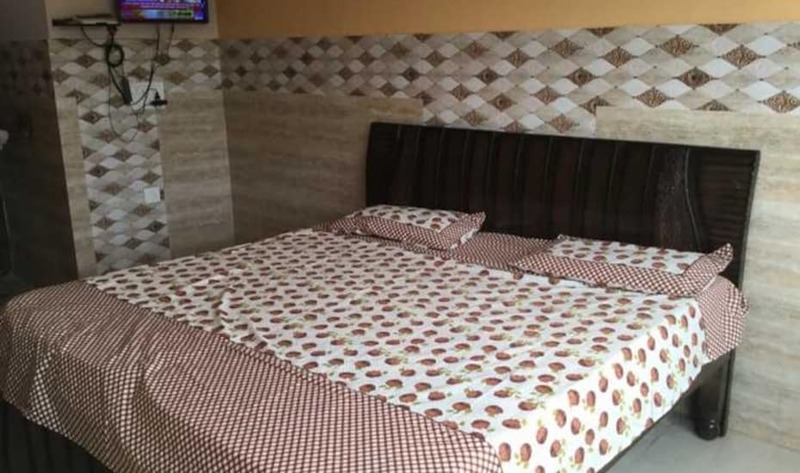 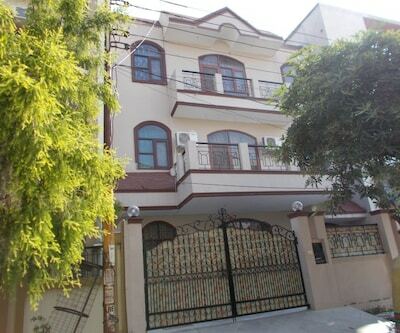 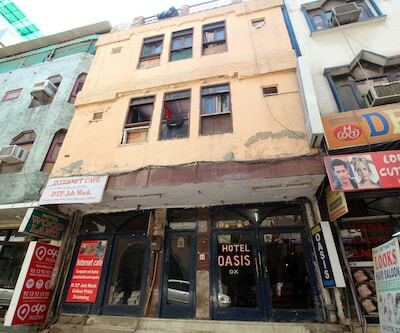 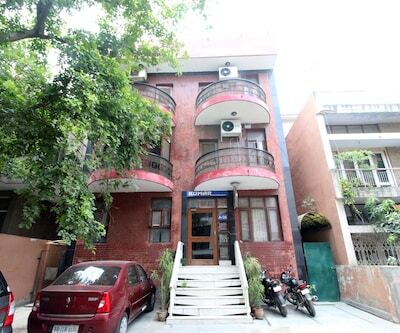 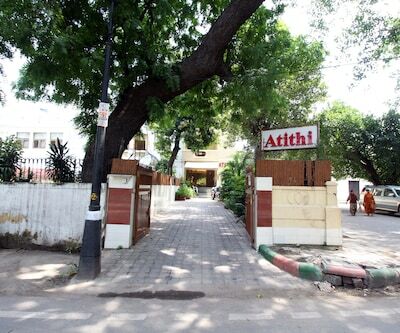 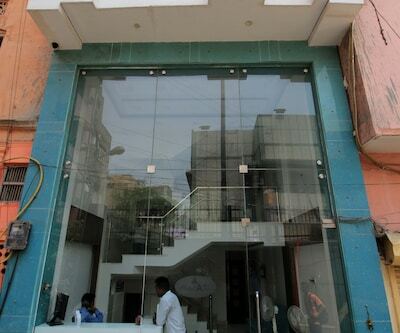 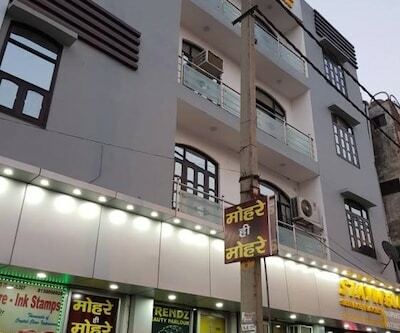 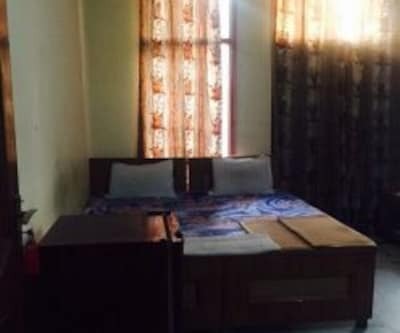 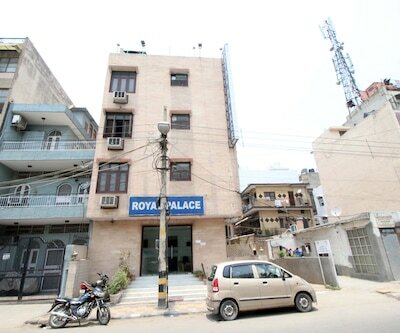 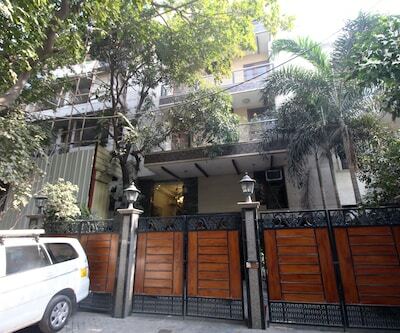 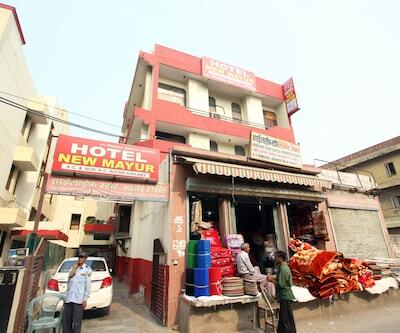 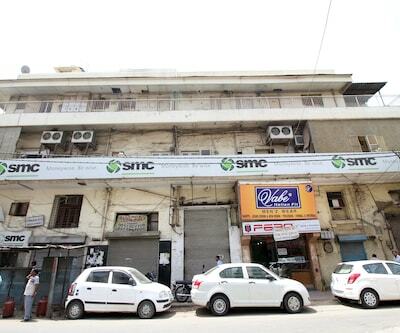 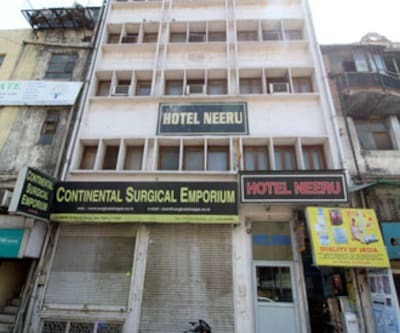 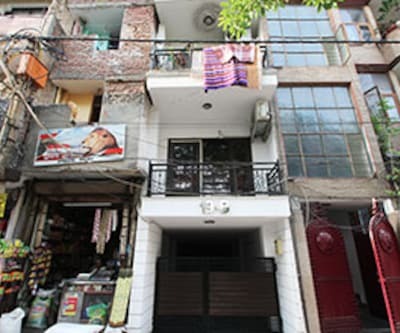 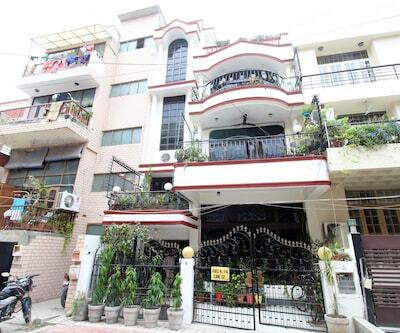 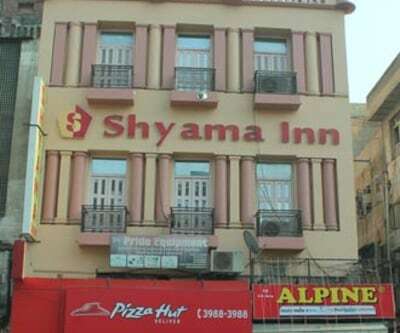 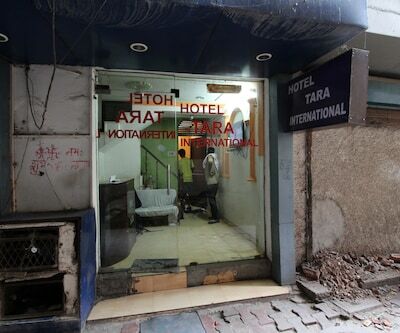 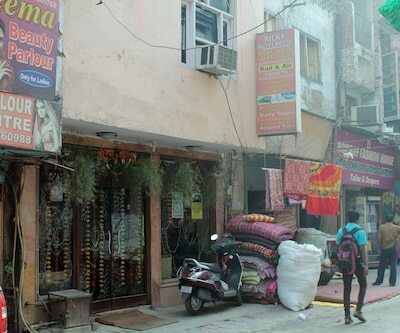 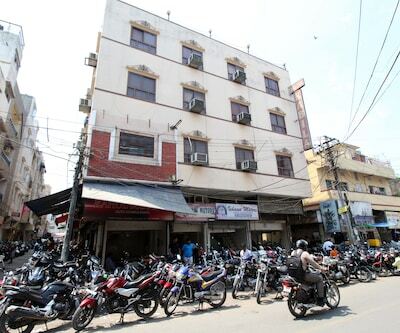 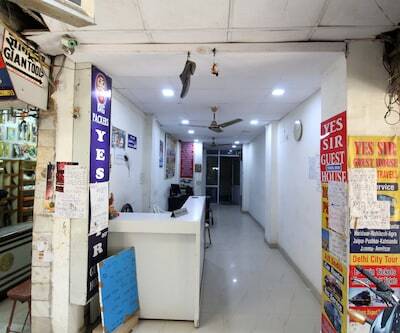 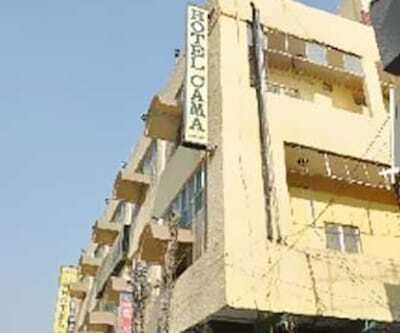 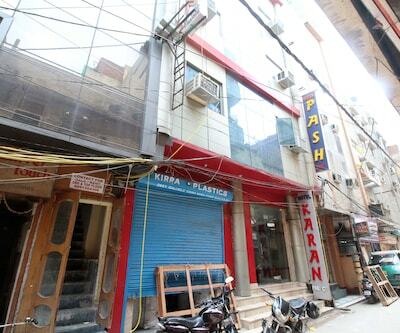 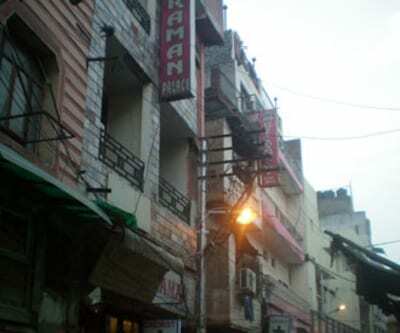 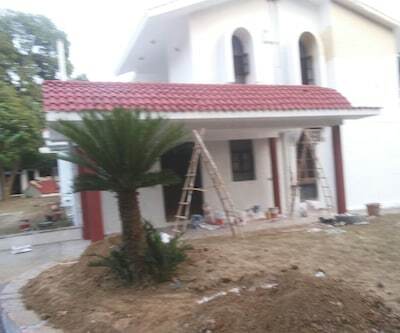 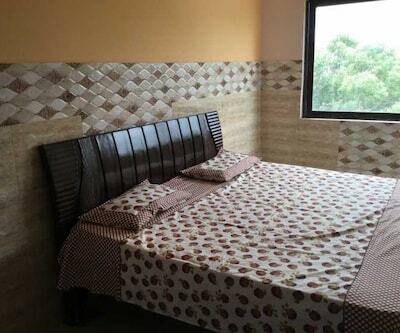 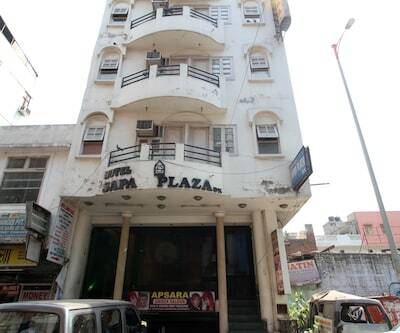 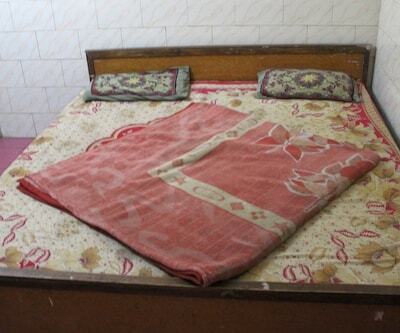 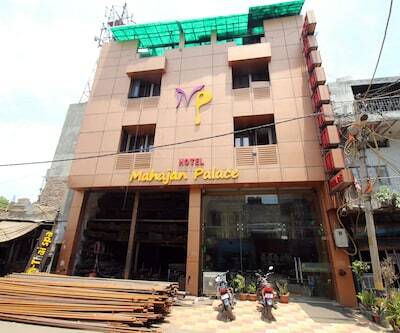 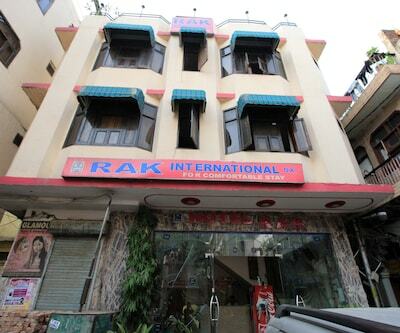 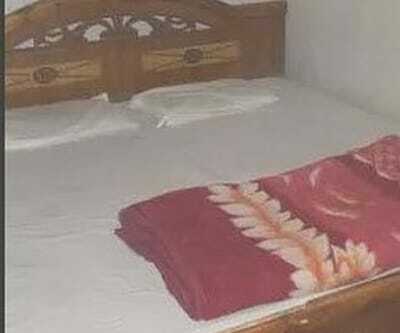 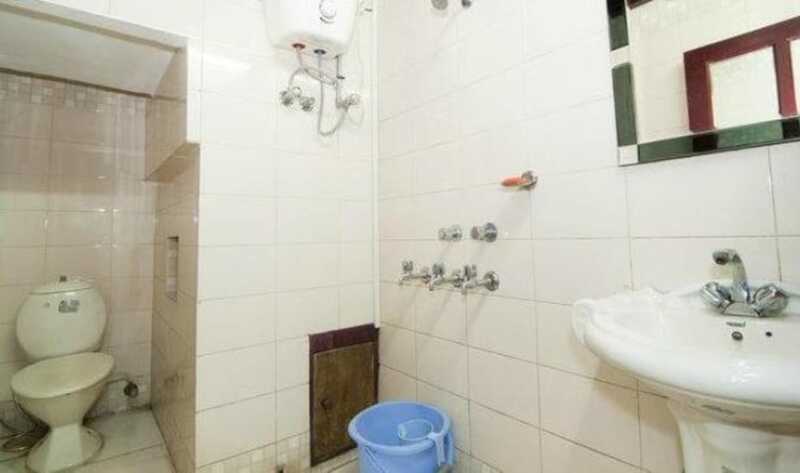 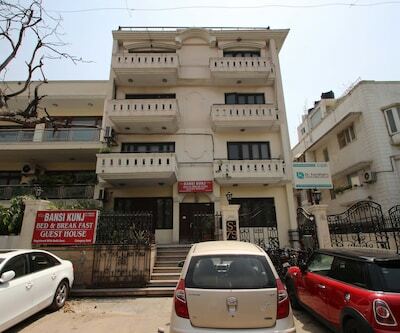 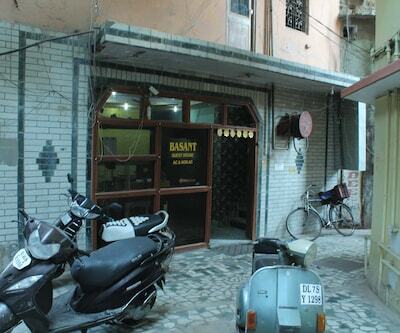 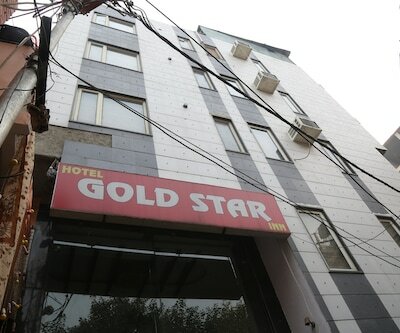 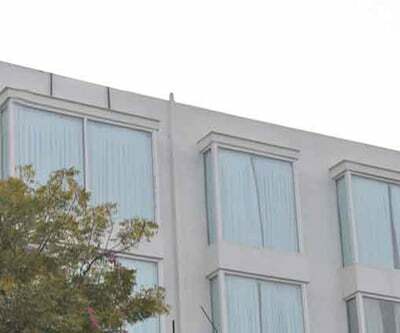 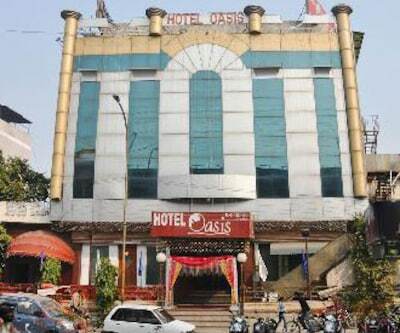 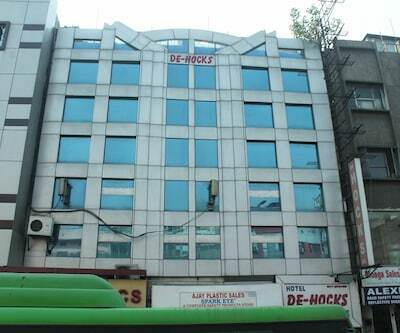 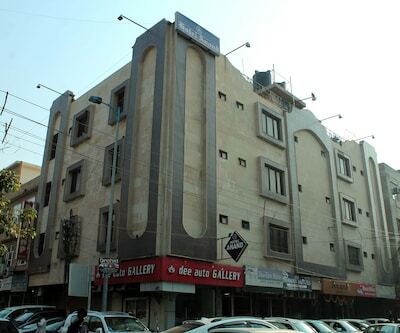 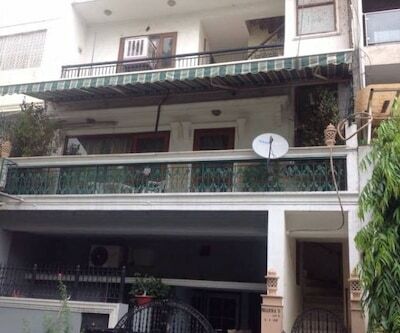 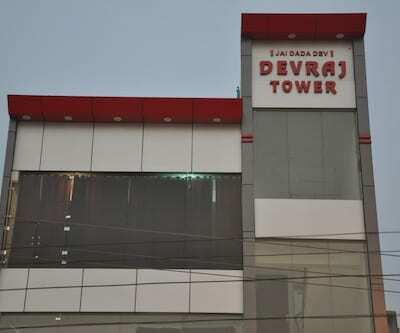 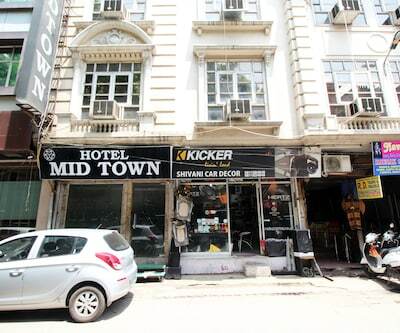 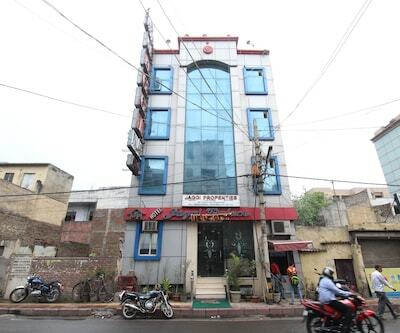 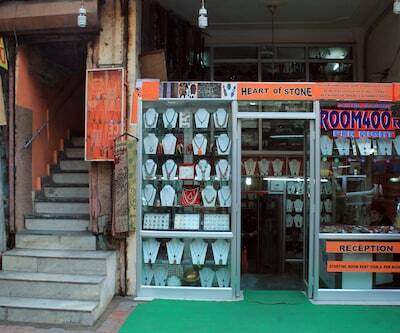 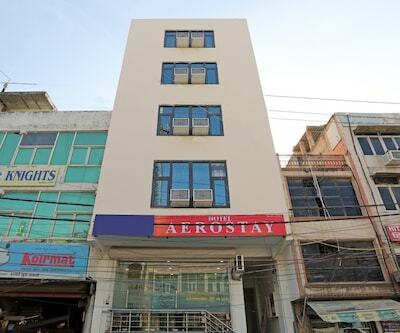 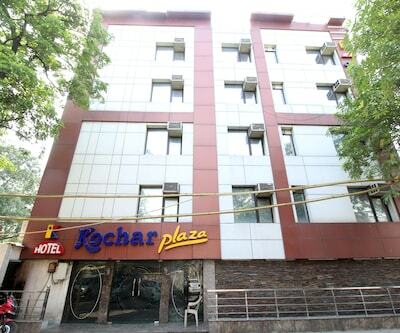 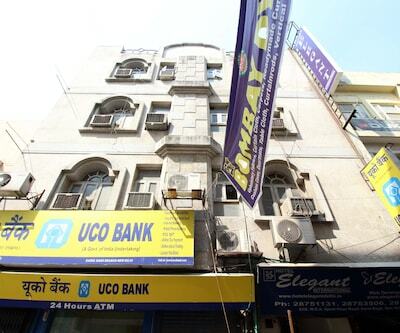 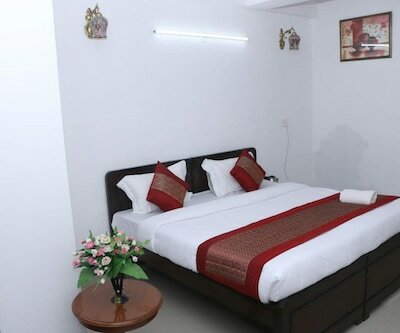 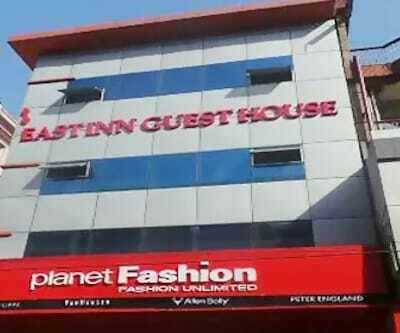 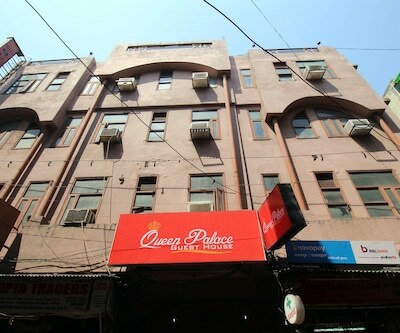 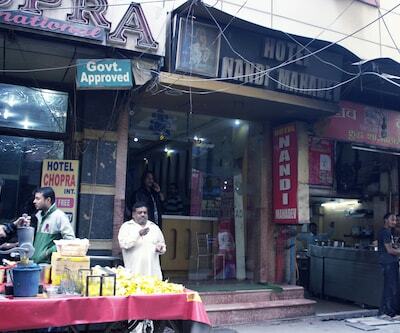 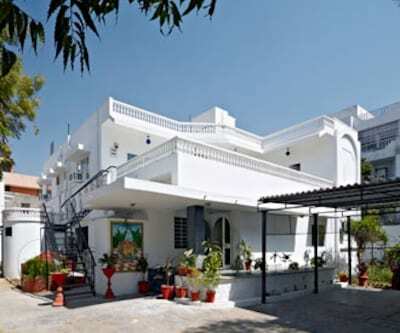 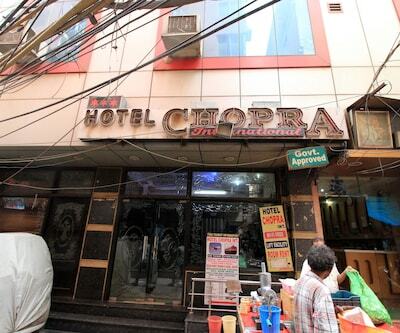 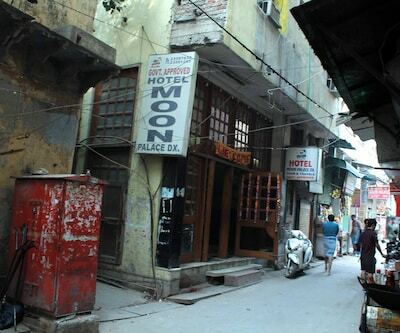 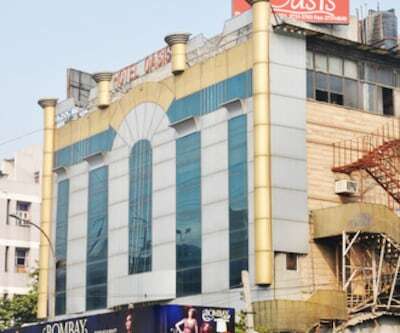 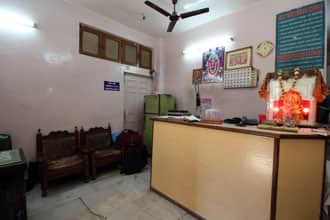 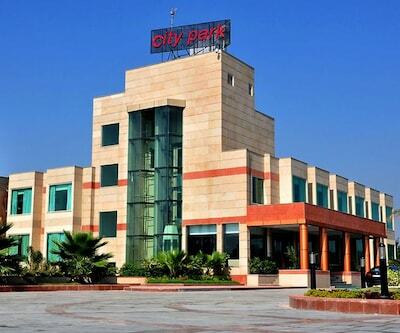 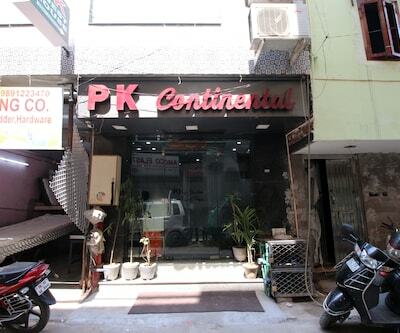 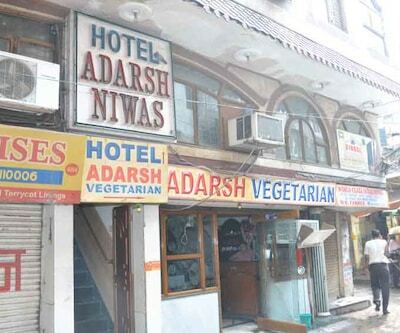 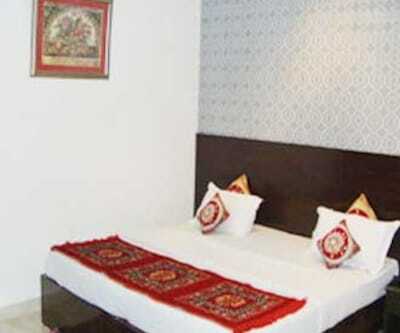 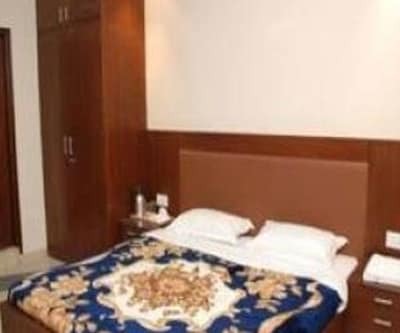 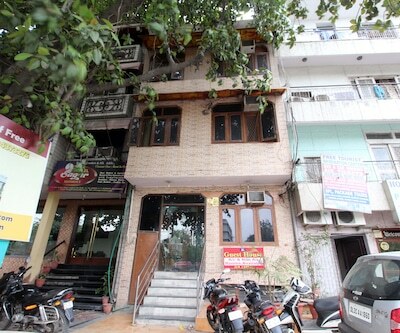 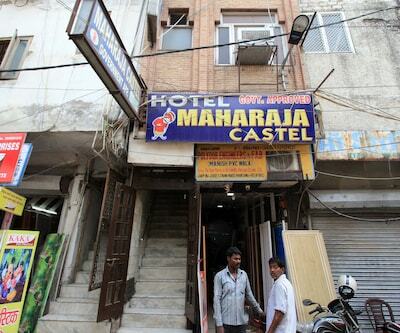 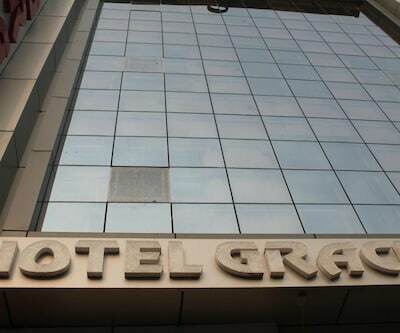 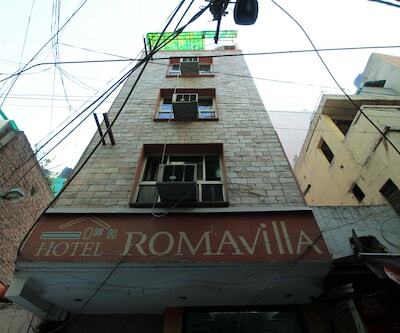 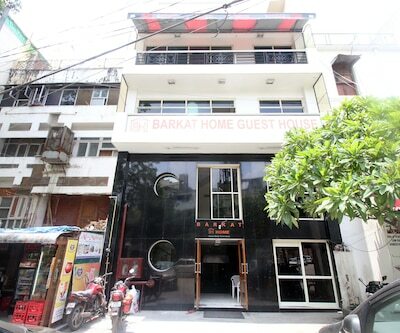 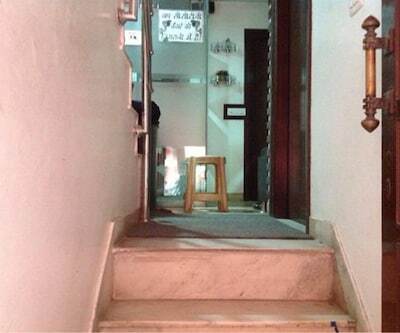 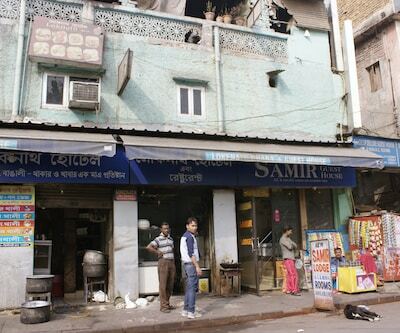 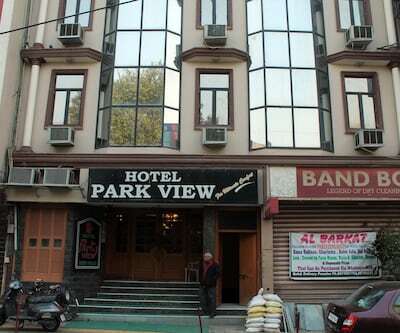 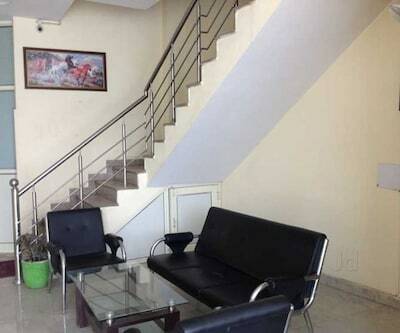 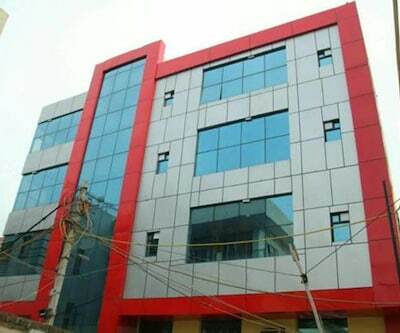 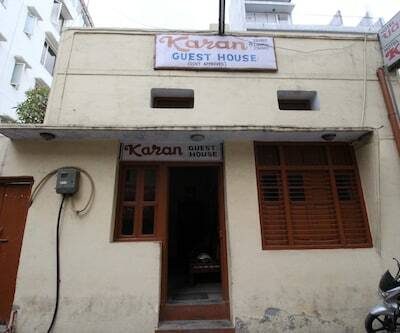 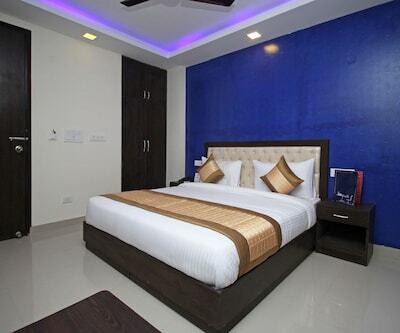 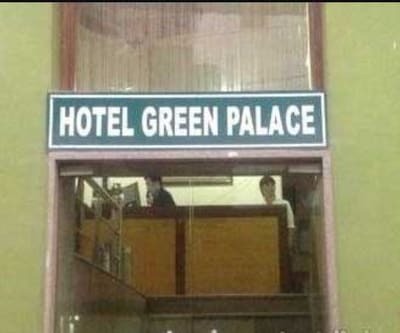 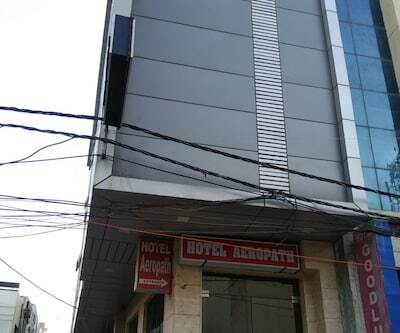 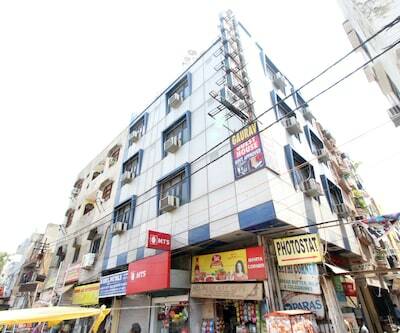 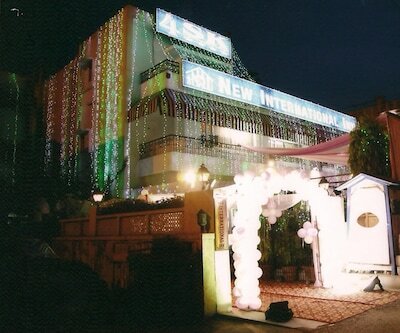 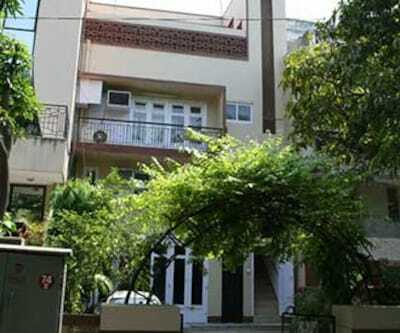 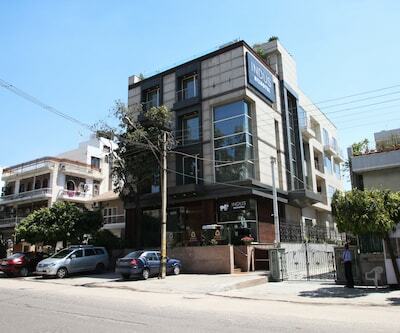 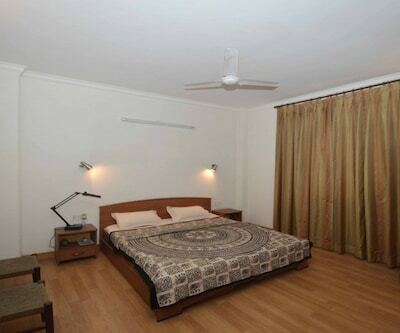 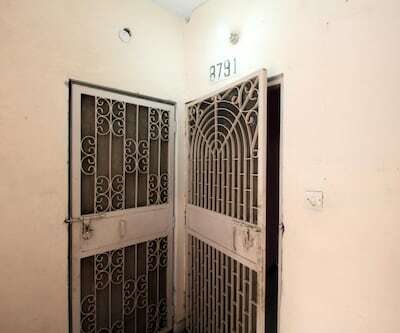 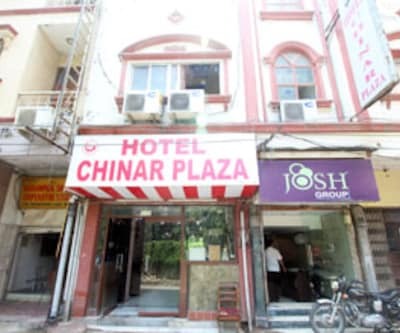 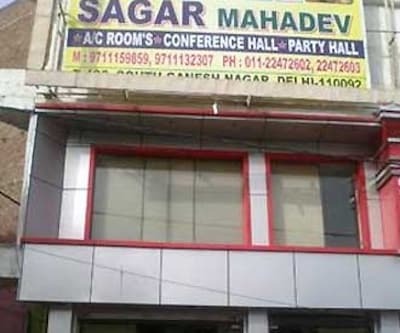 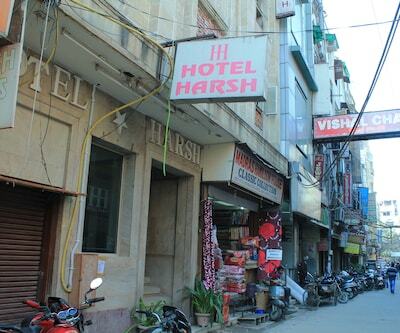 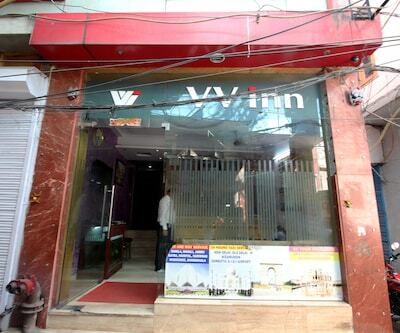 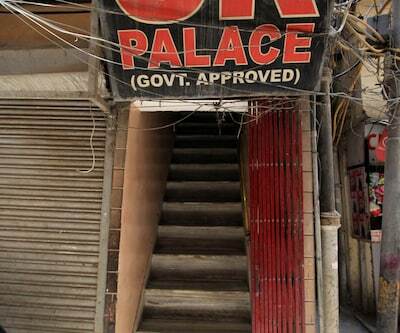 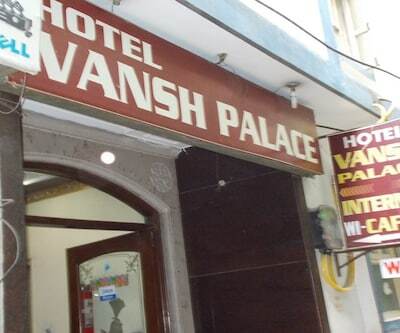 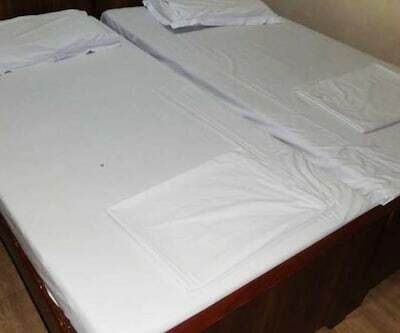 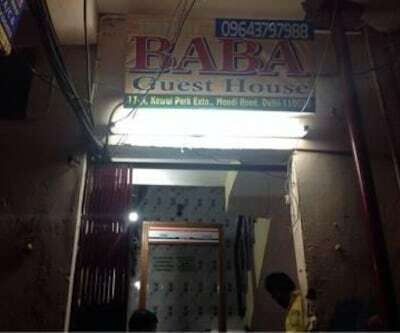 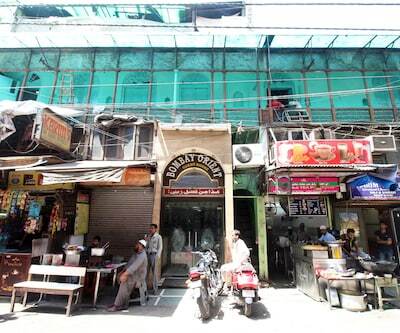 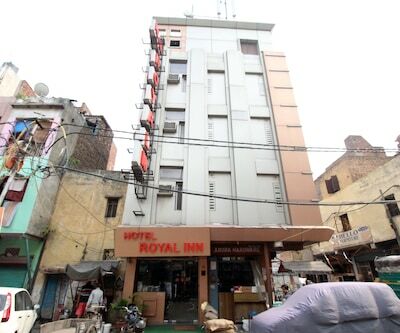 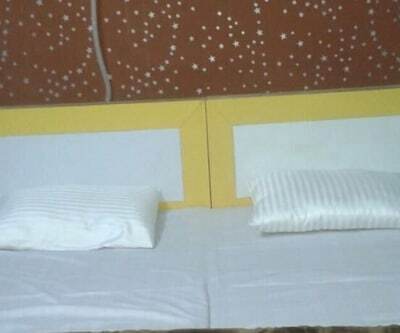 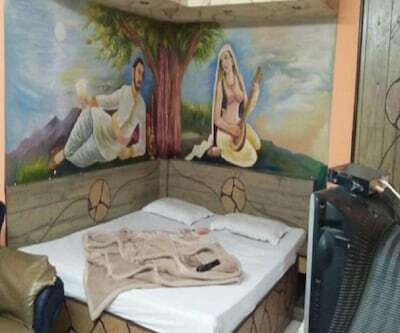 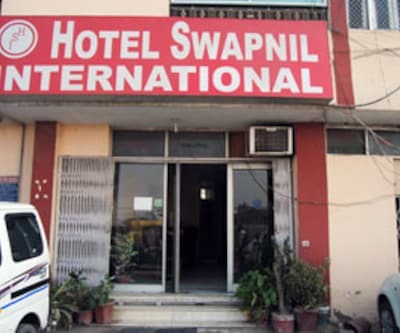 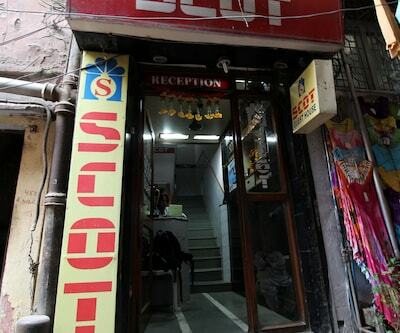 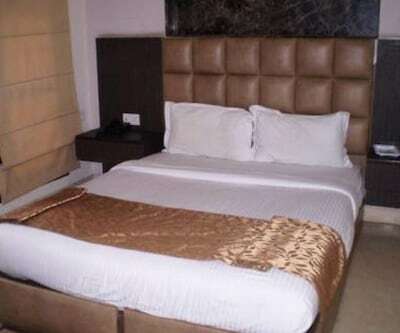 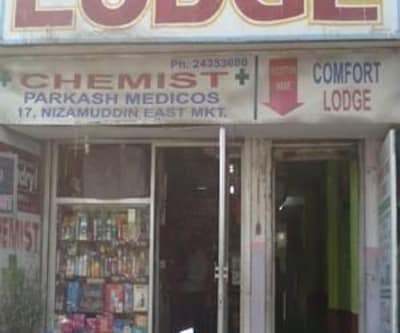 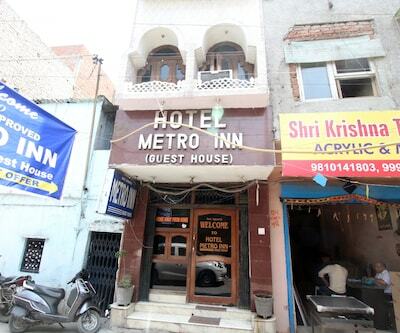 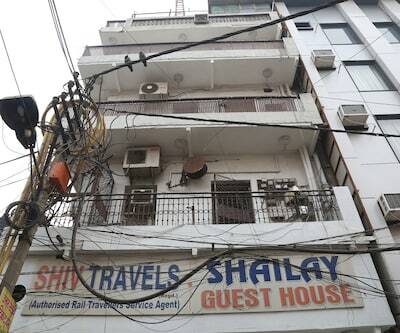 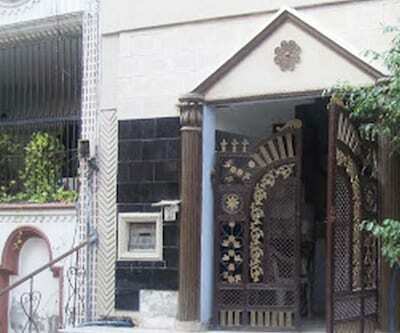 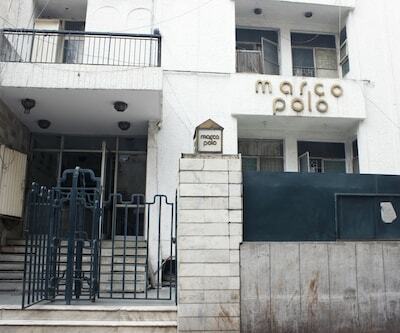 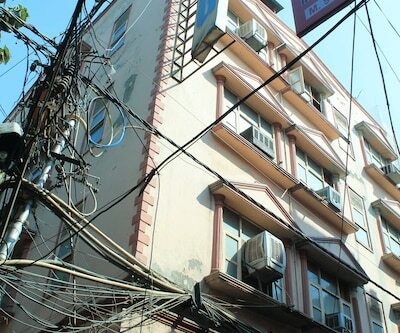 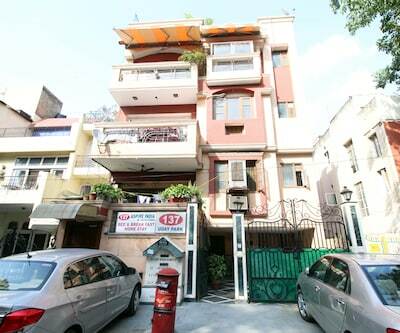 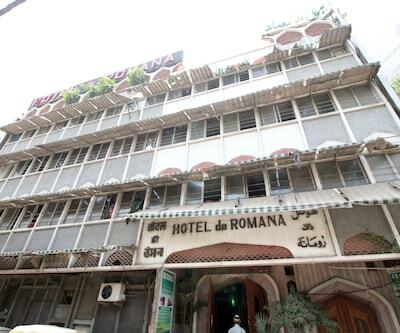 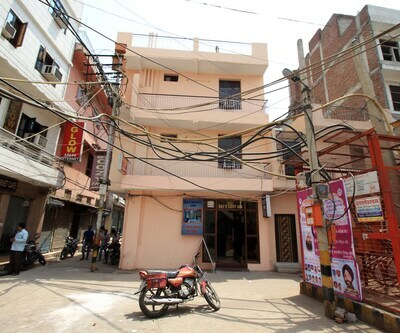 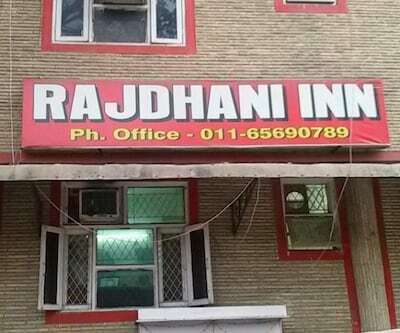 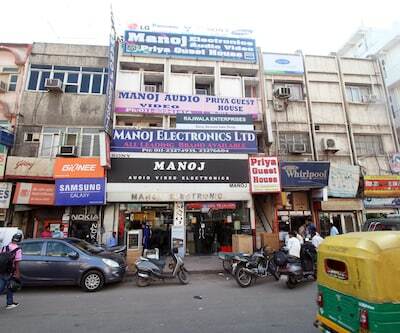 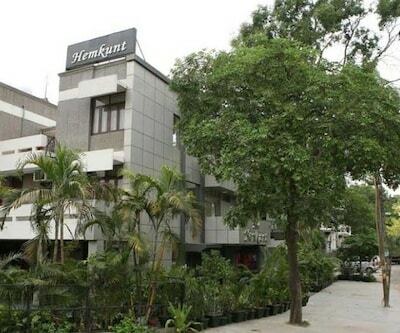 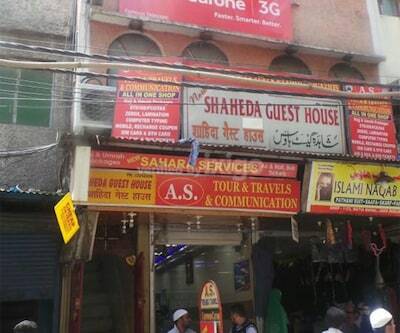 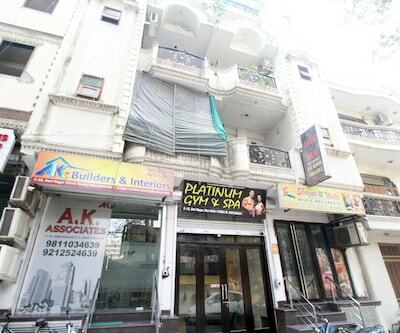 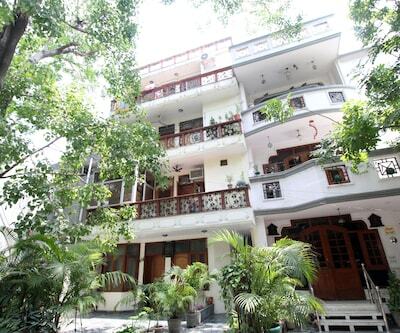 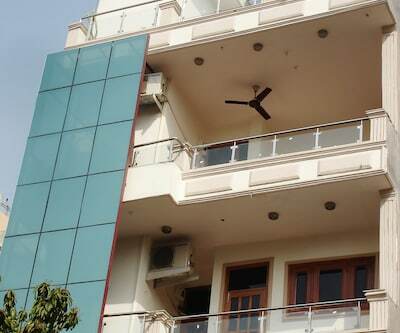 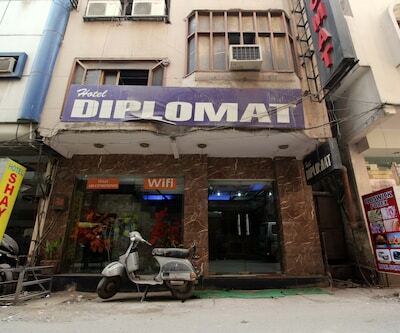 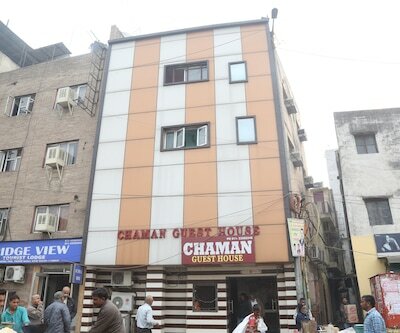 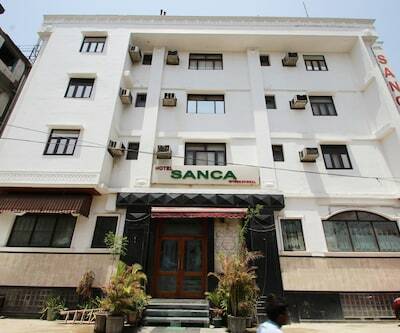 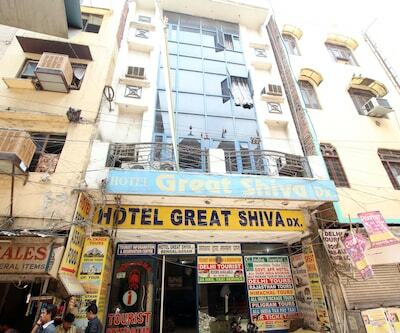 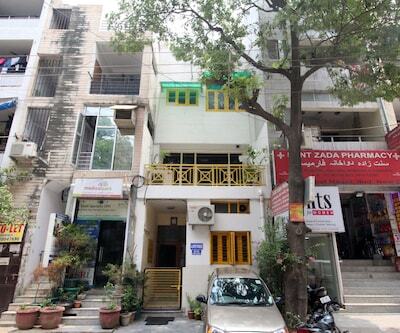 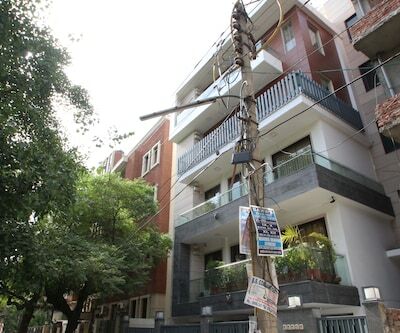 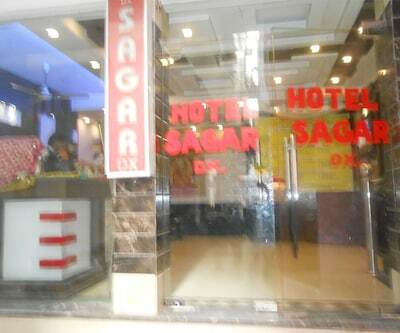 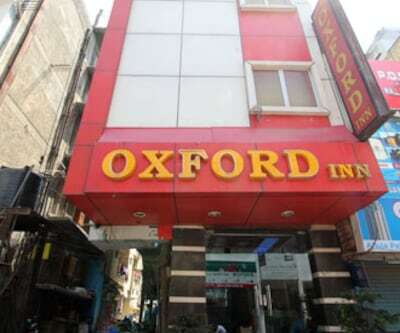 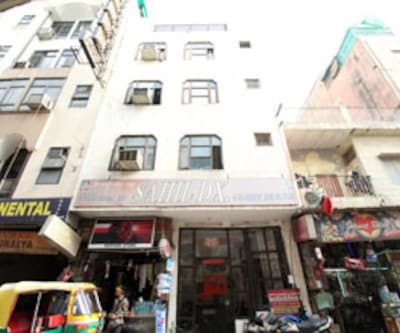 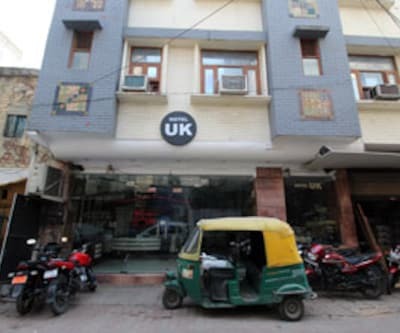 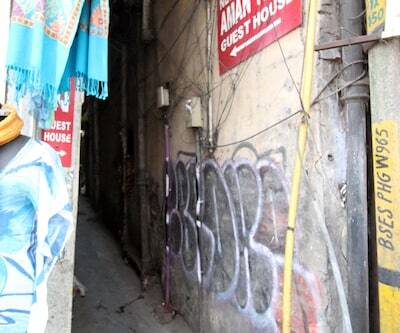 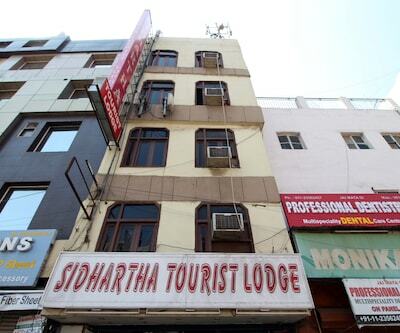 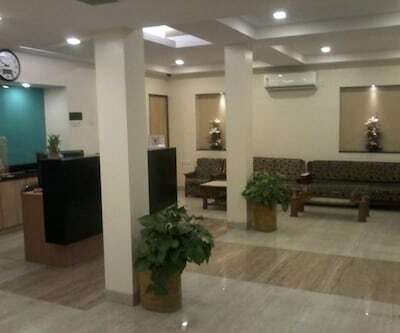 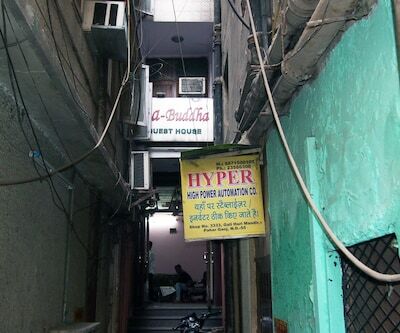 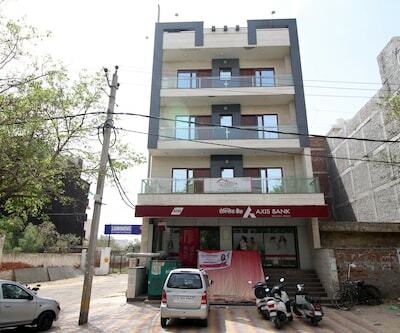 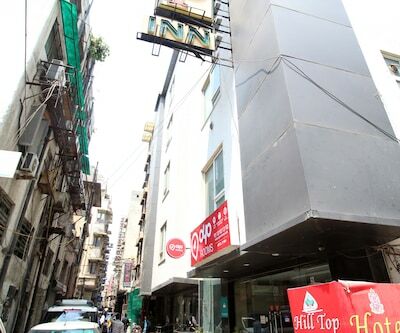 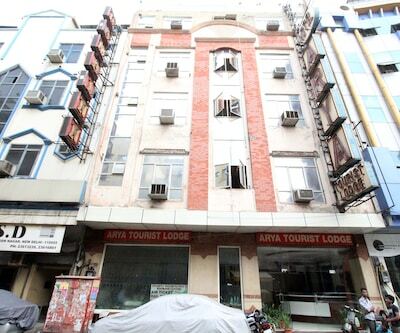 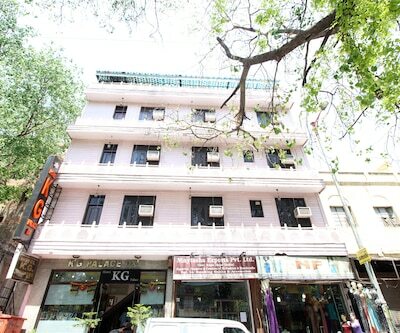 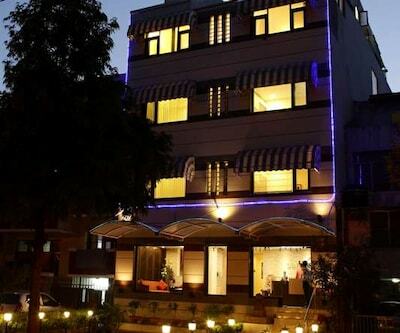 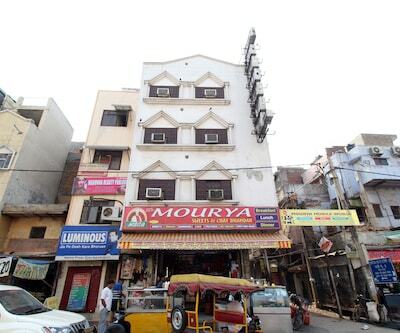 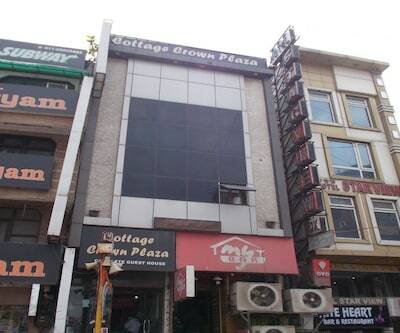 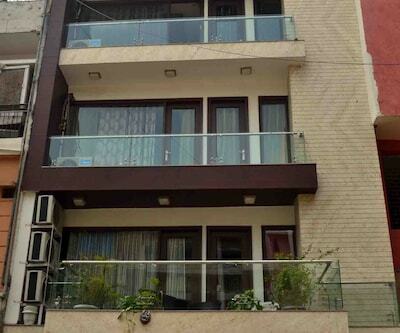 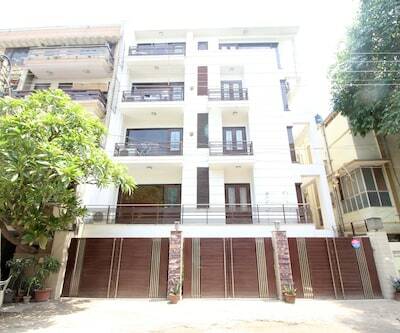 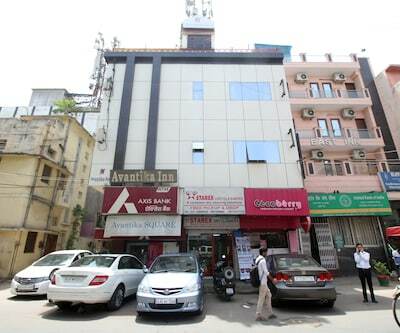 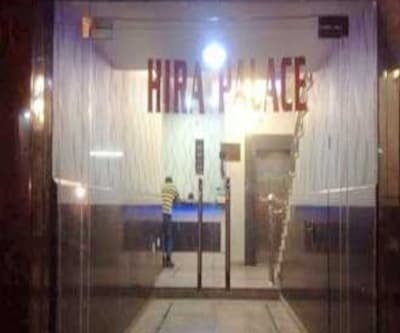 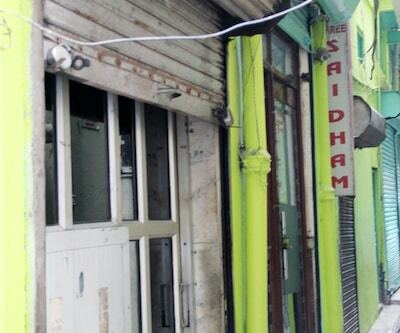 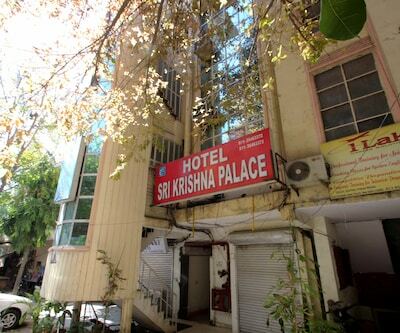 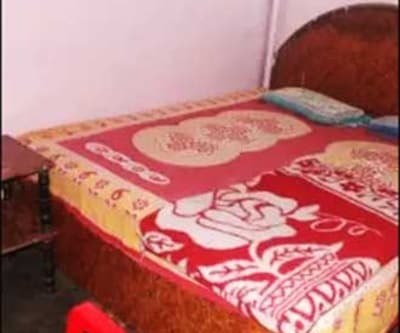 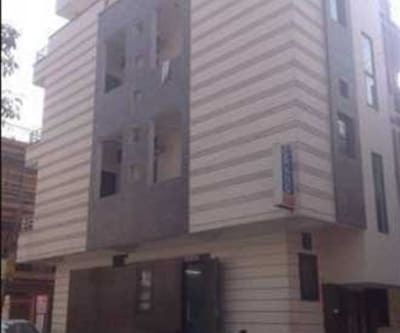 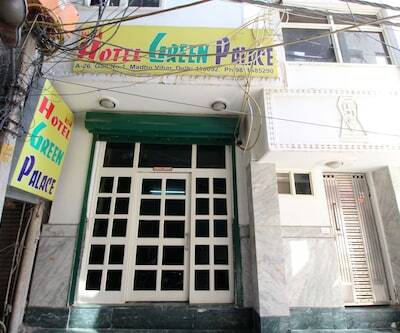 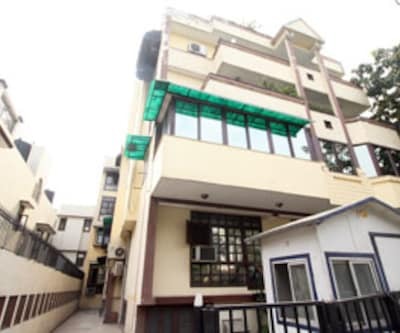 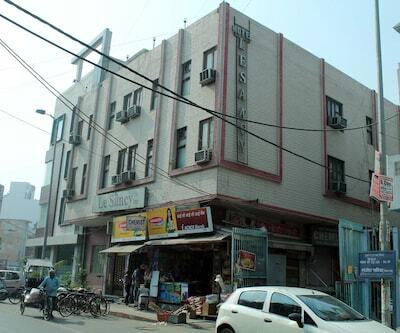 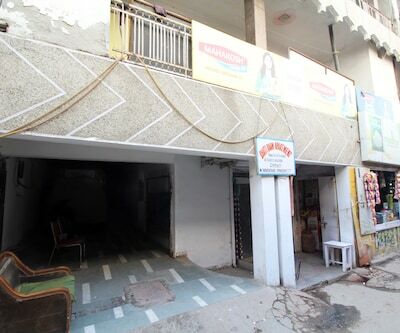 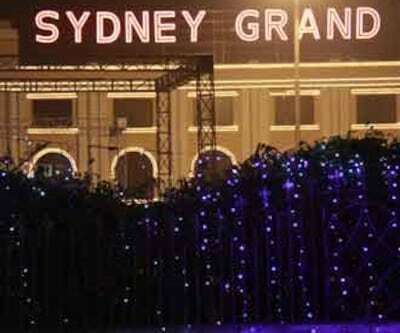 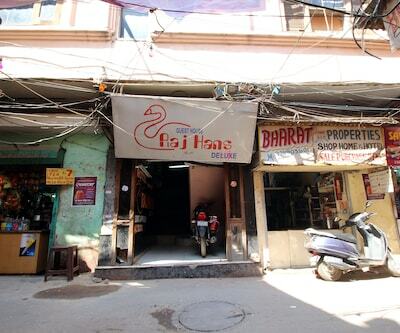 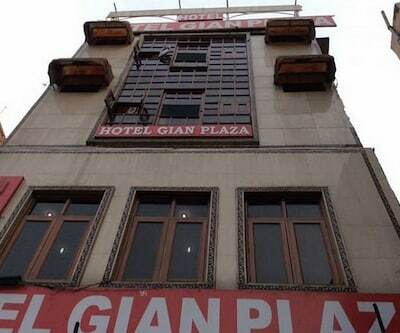 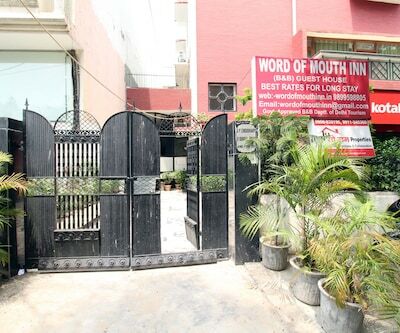 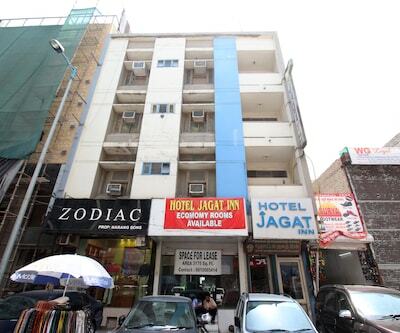 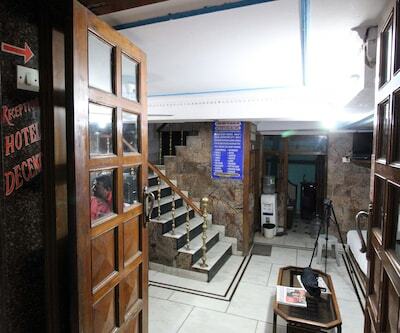 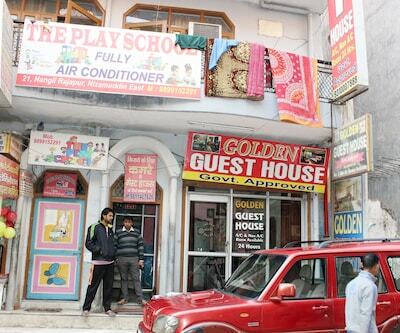 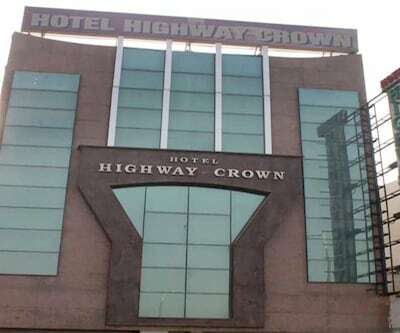 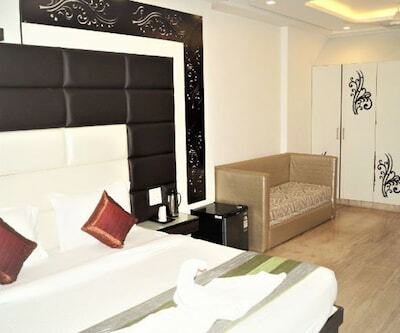 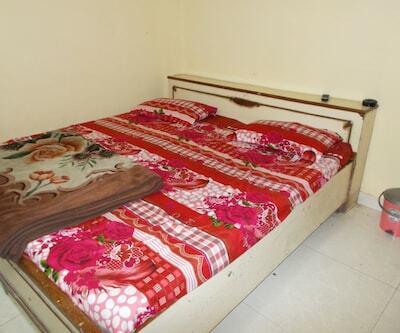 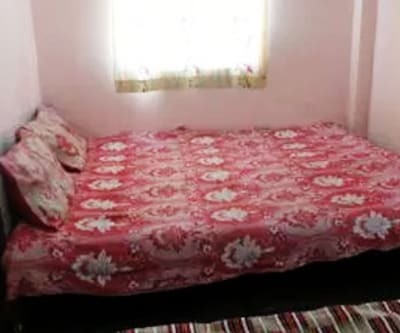 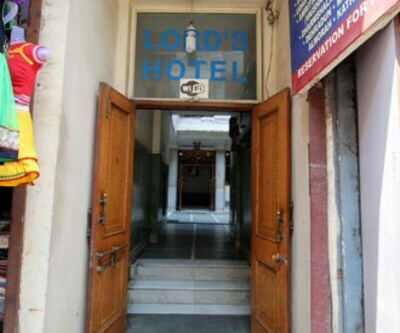 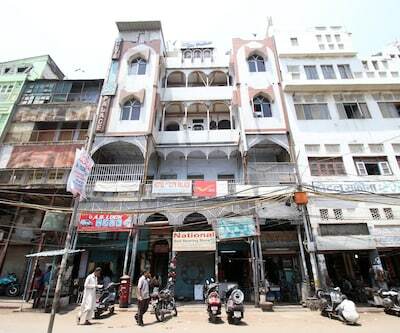 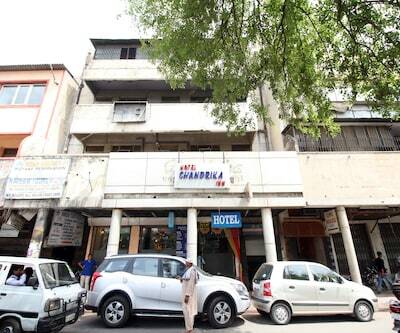 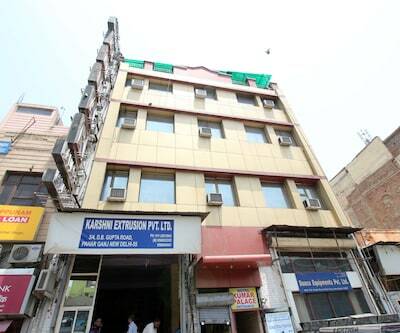 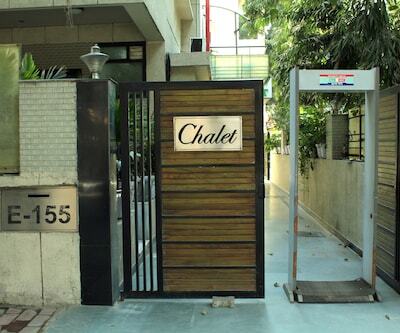 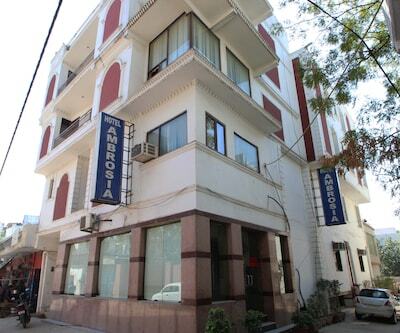 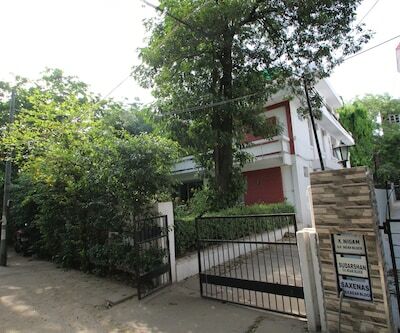 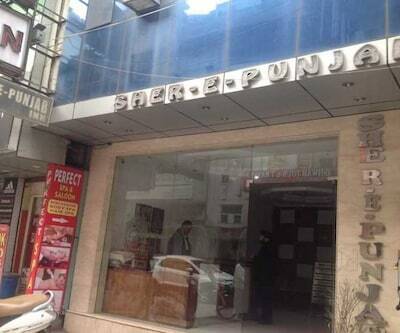 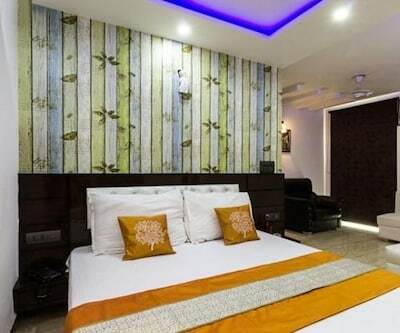 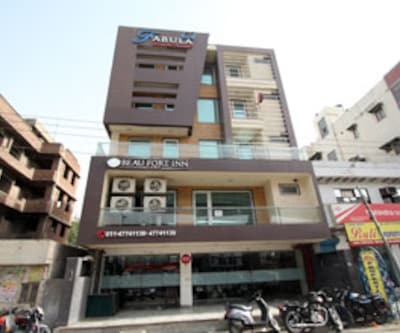 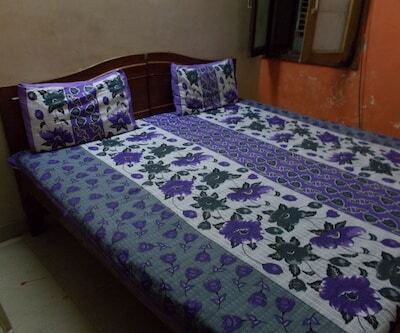 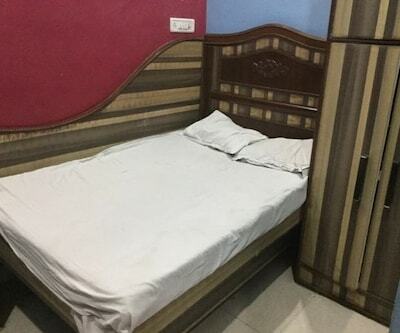 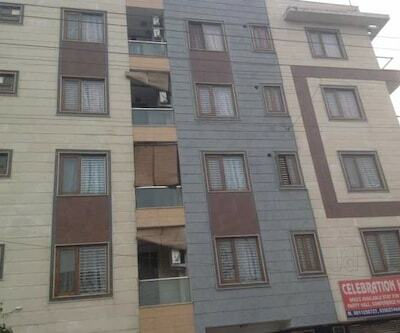 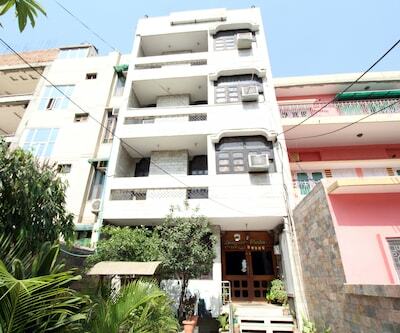 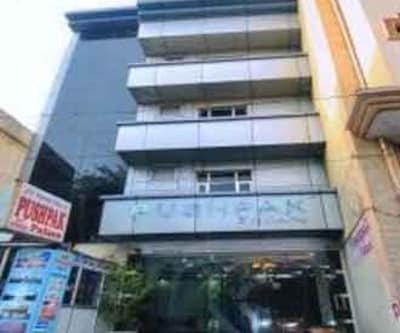 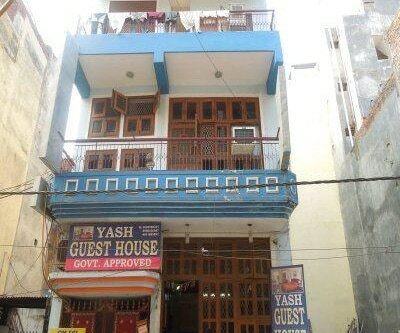 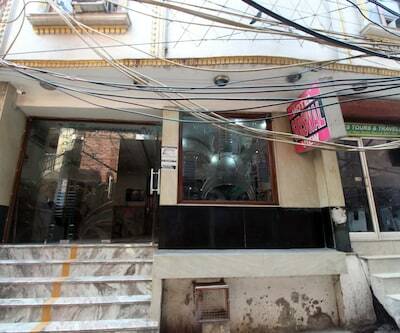 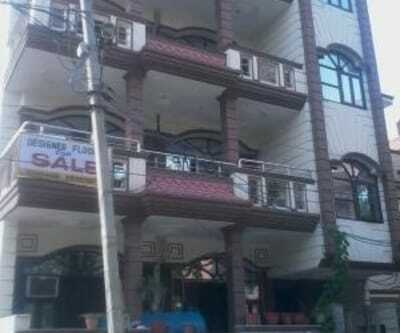 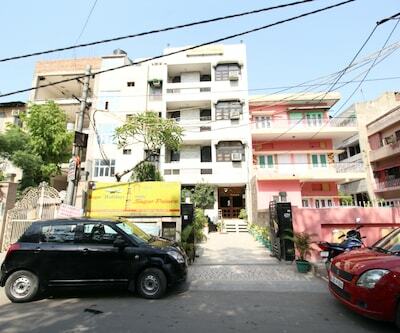 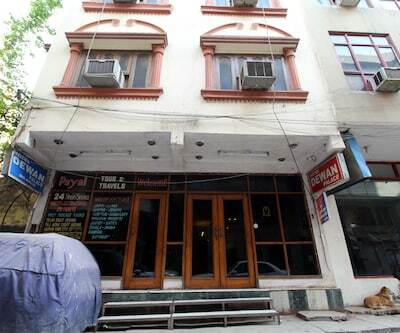 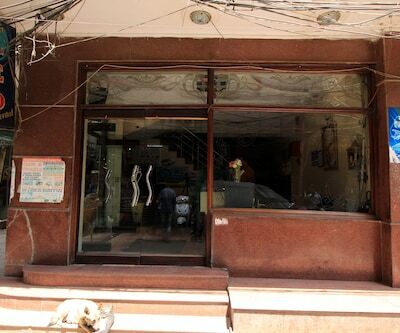 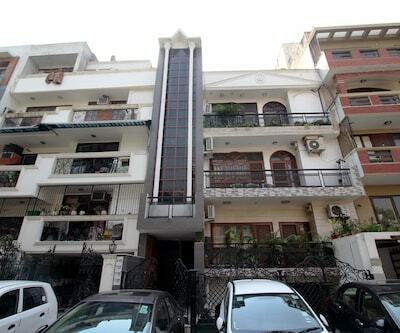 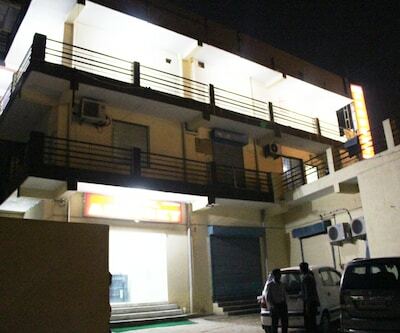 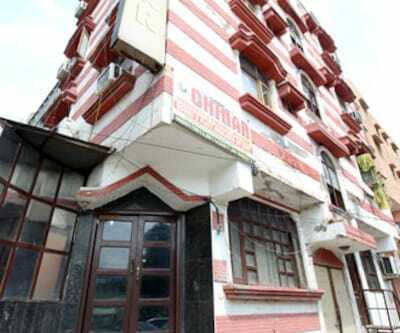 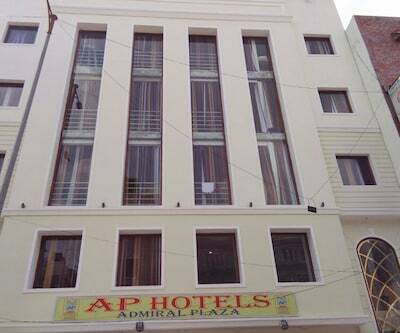 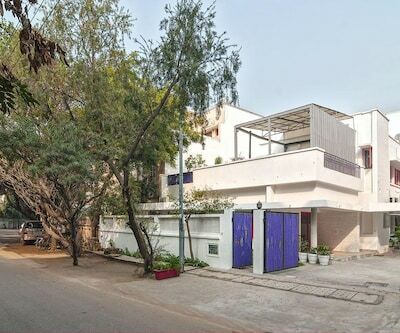 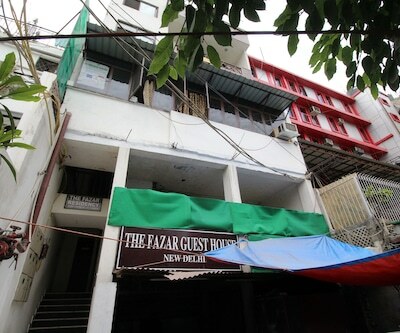 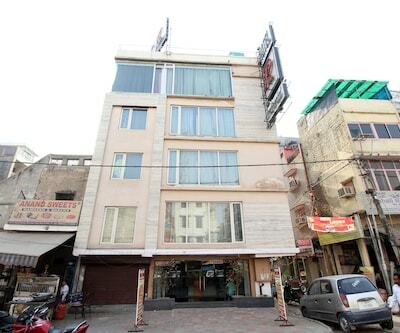 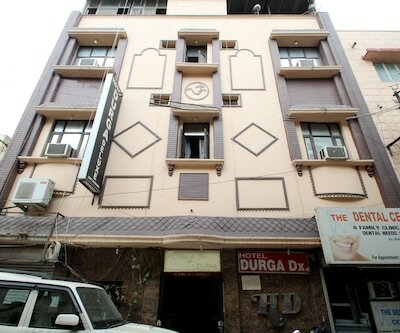 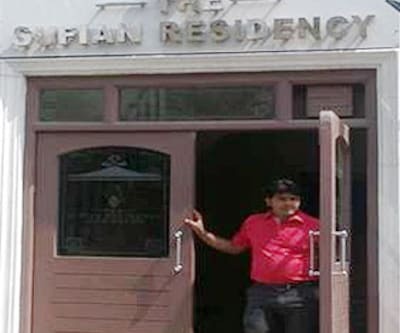 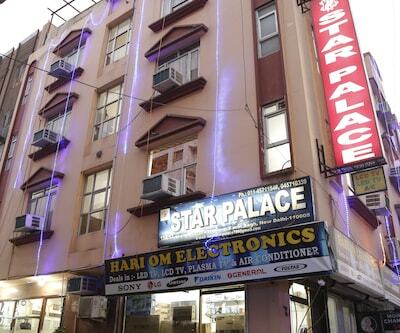 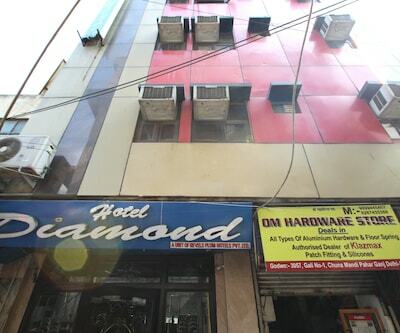 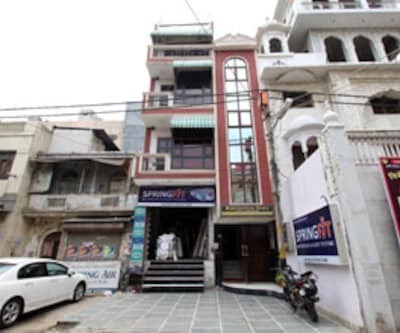 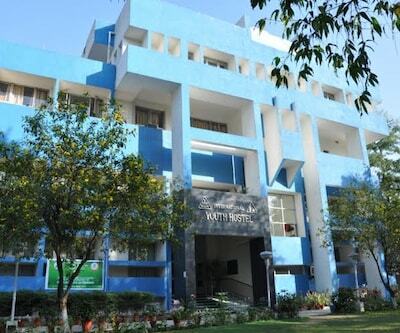 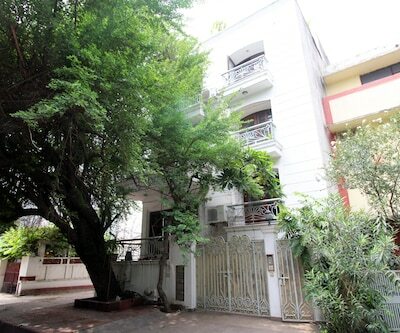 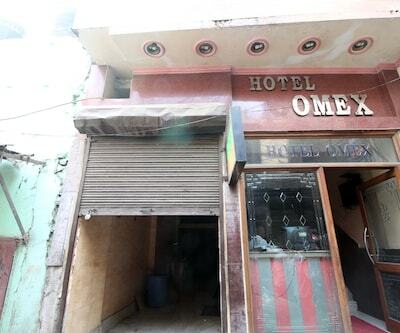 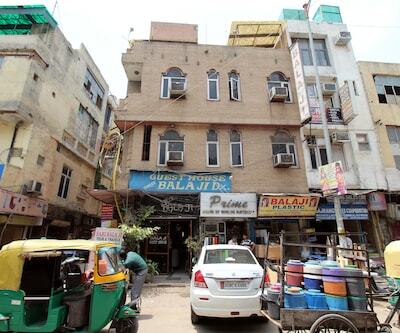 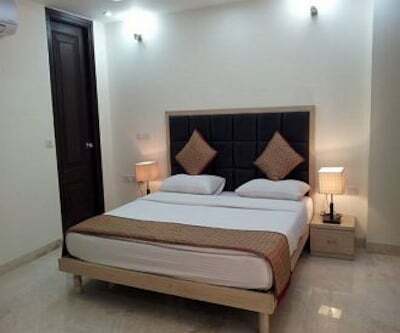 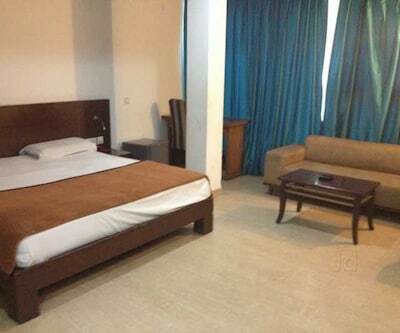 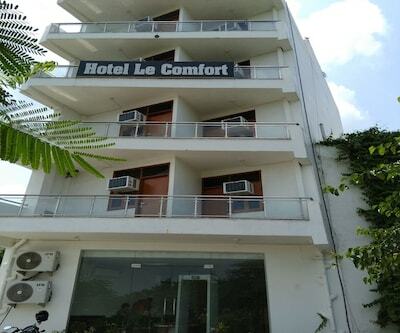 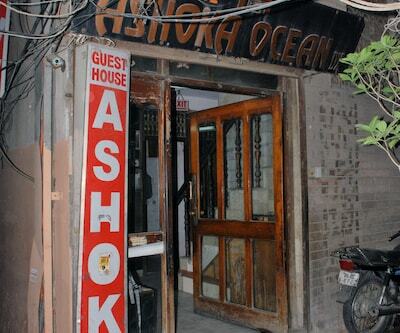 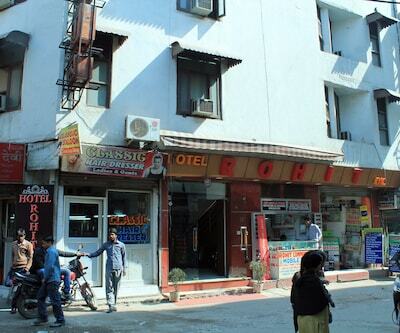 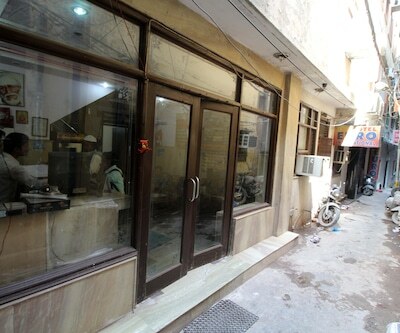 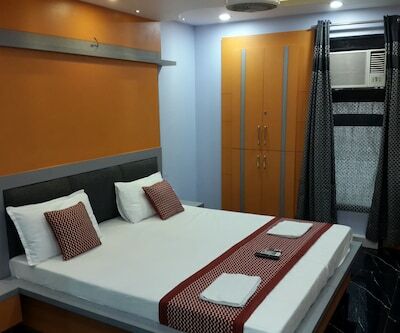 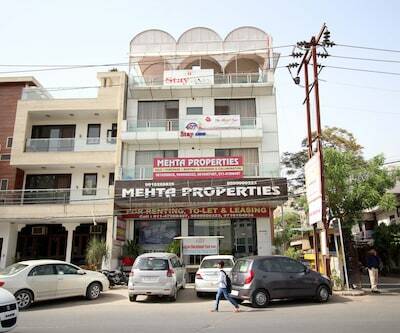 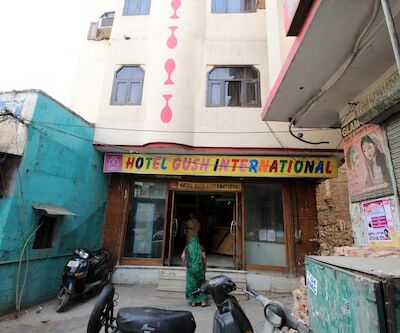 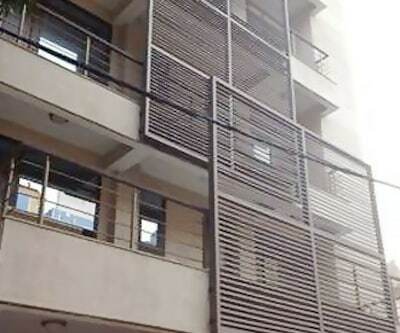 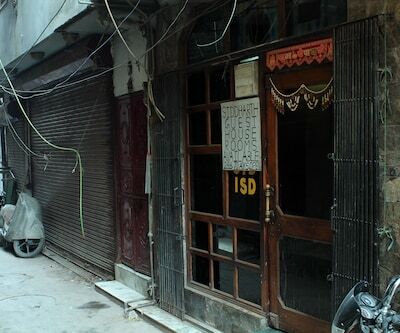 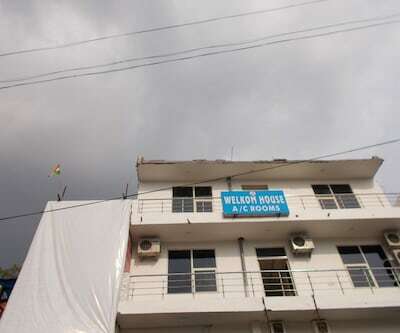 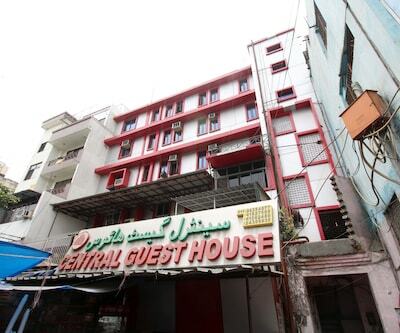 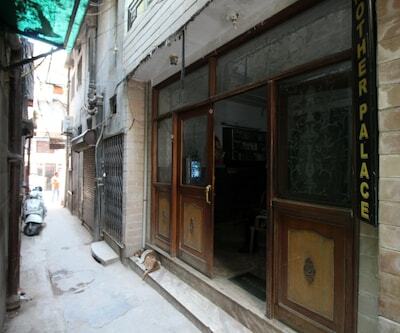 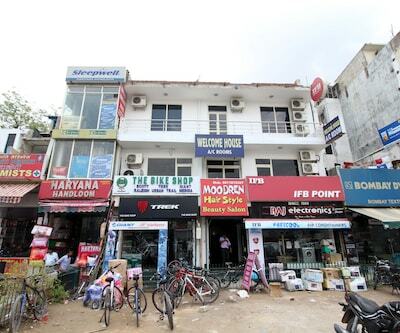 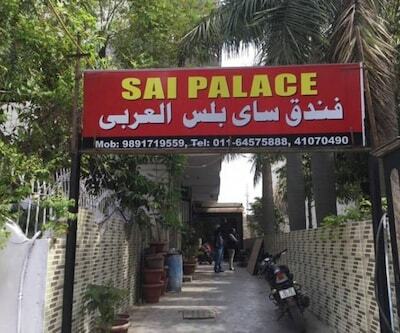 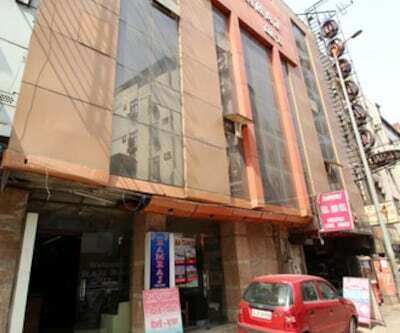 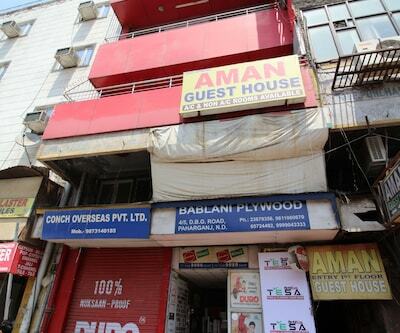 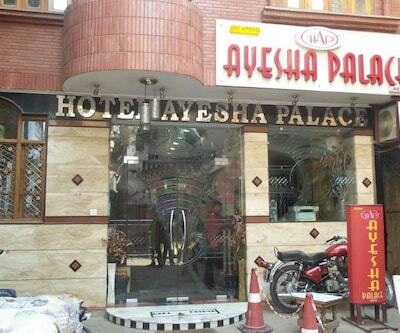 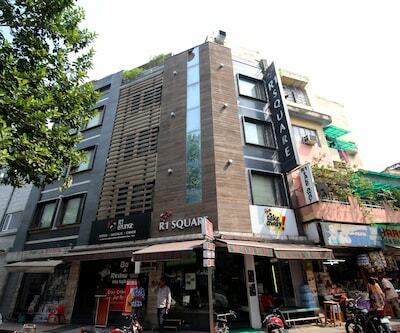 The New Delhi Railway Station is at 0.5 km from this New Delhi guest house. 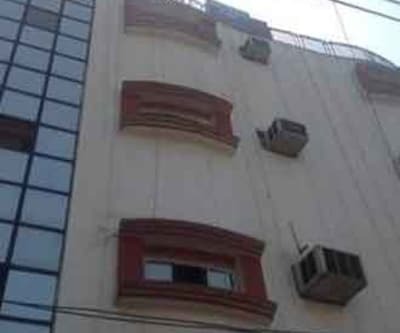 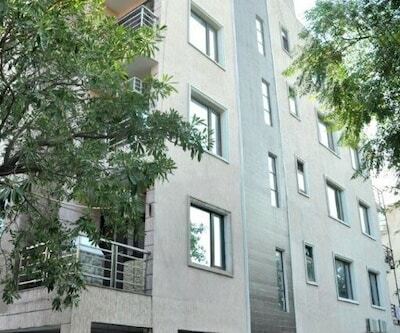 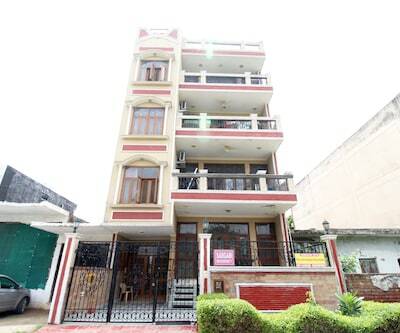 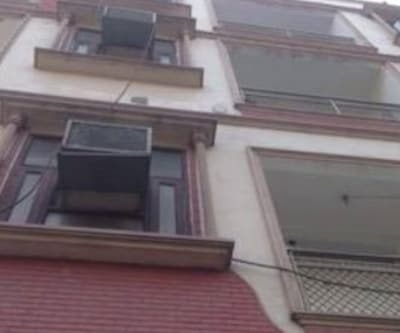 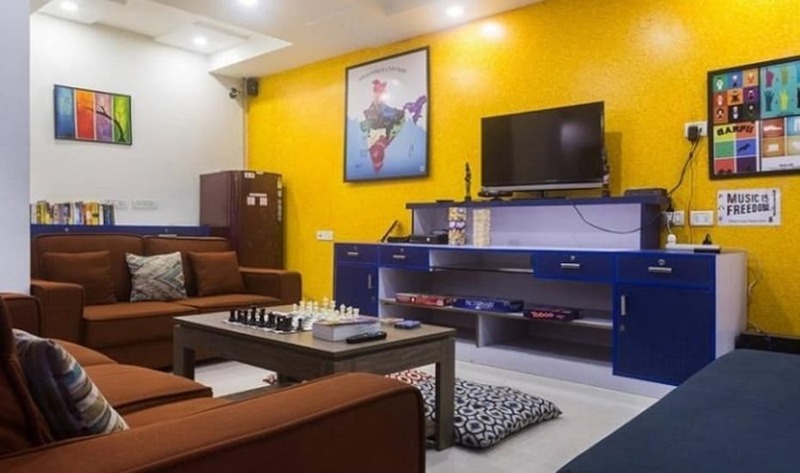 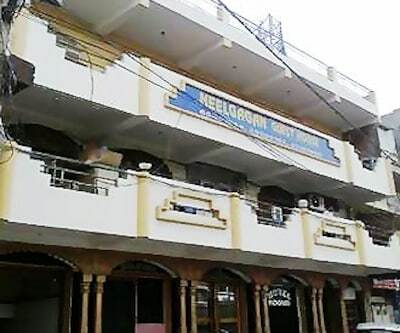 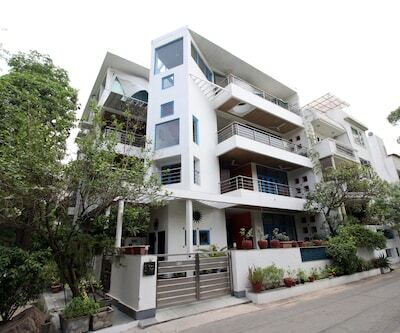 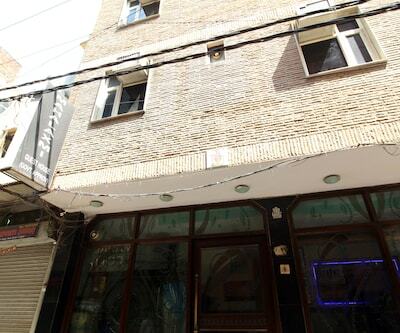 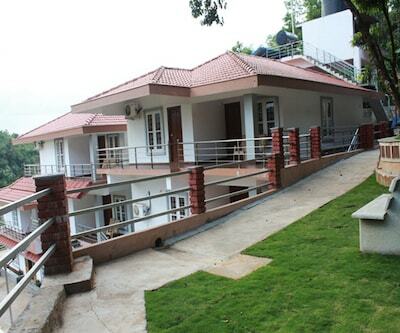 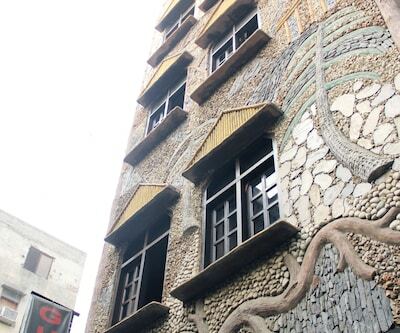 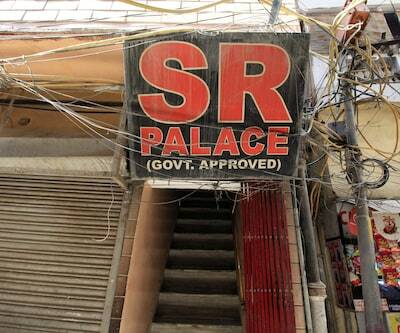 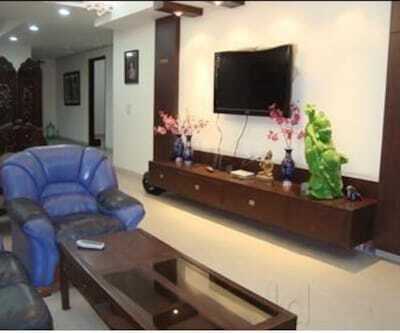 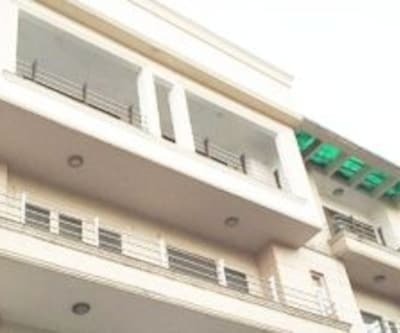 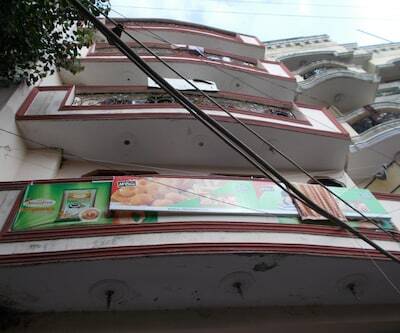 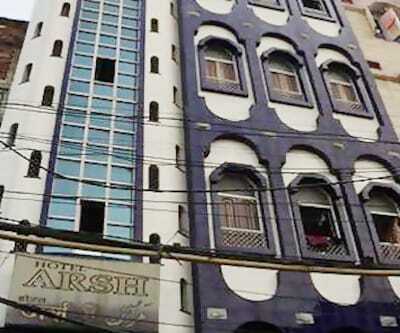 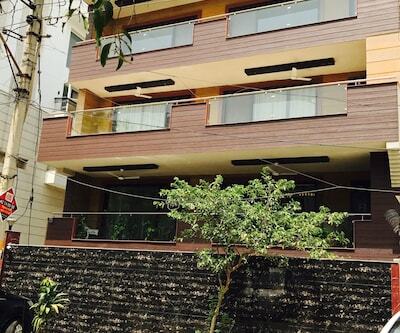 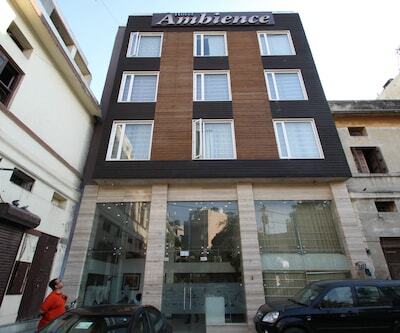 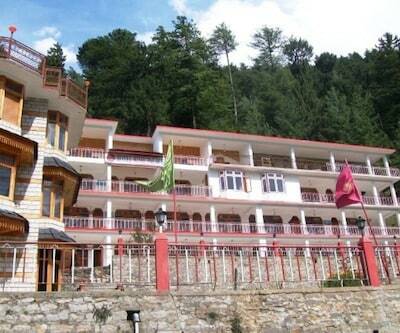 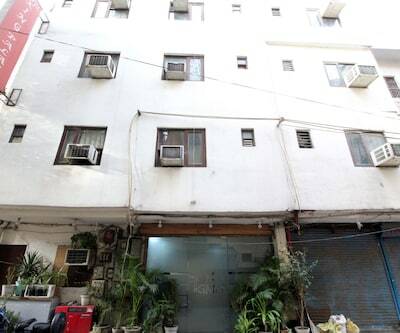 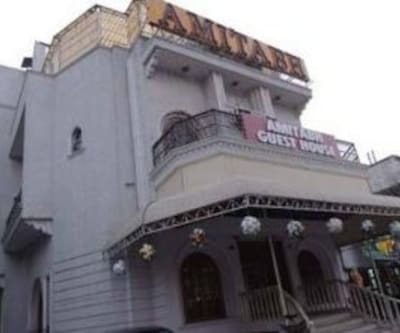 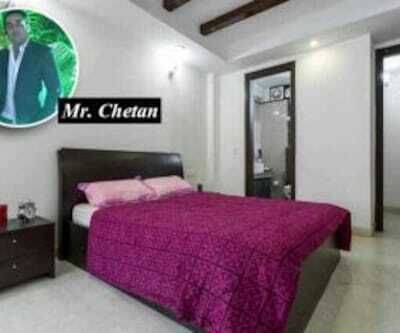 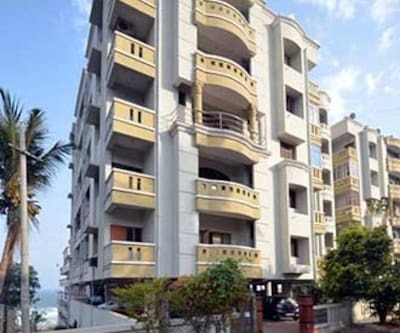 This 4-storey property has 20 rooms equipped with TVs. 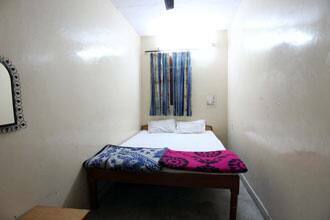 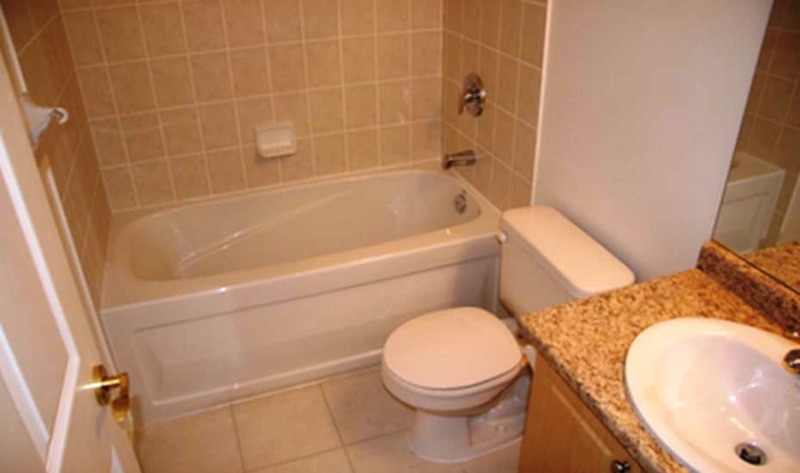 All the rooms have attached bathrooms and hot/cold water supply. 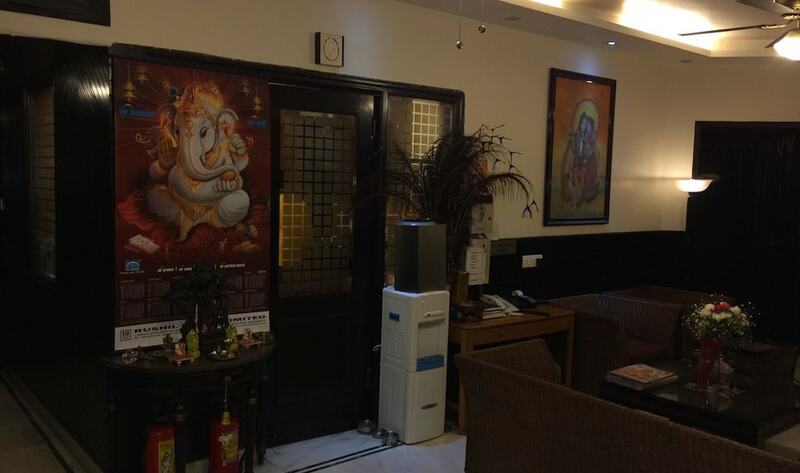 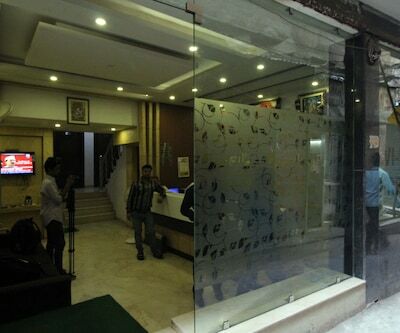 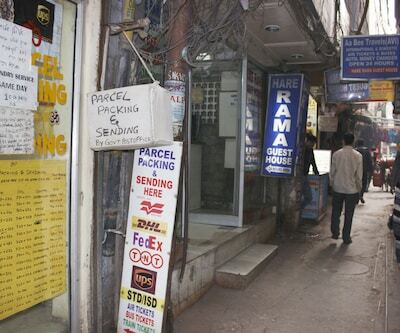 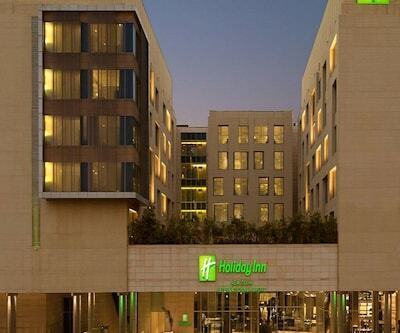 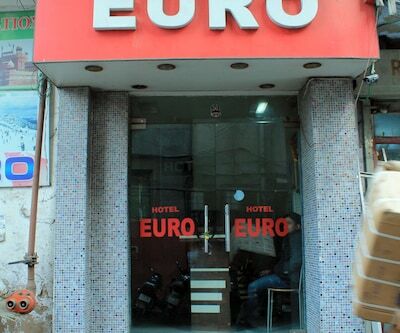 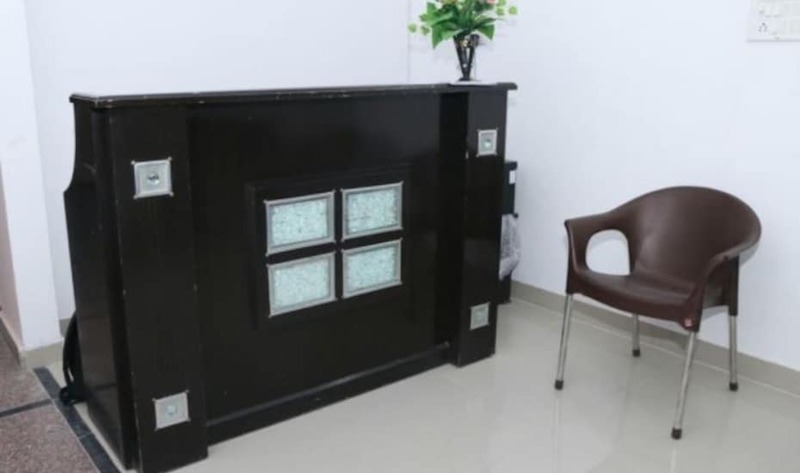 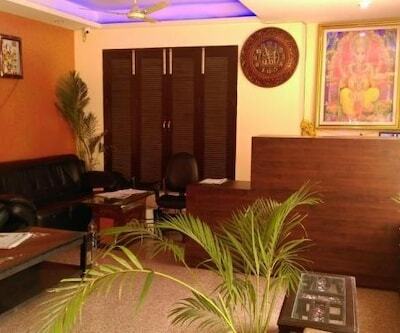 This New Delhi accommodation has a money exchange counter and restaurant. 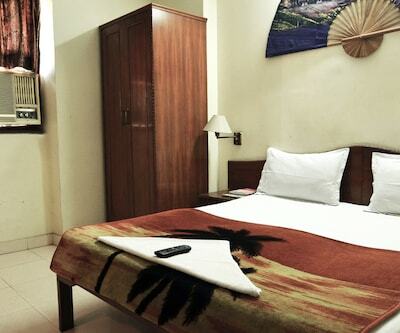 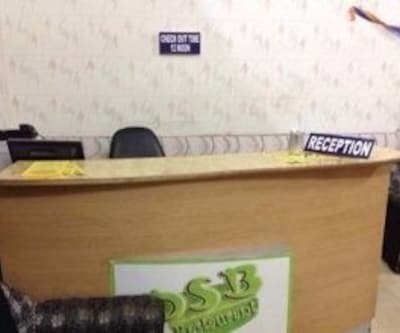 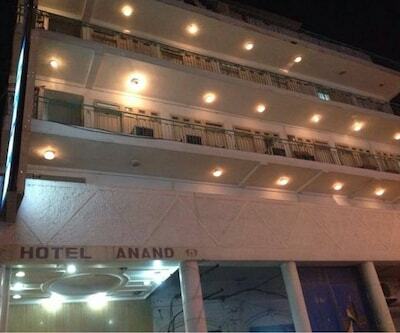 Guests can avail of 24-hour room service. 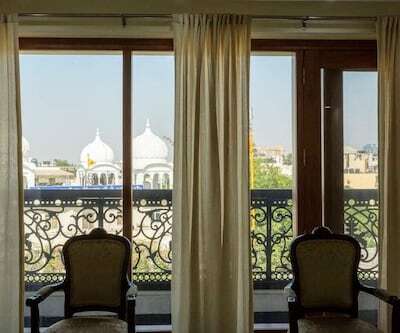 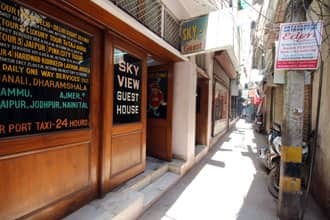 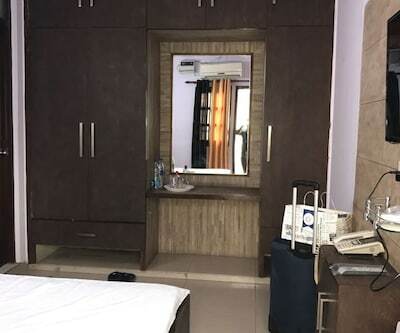 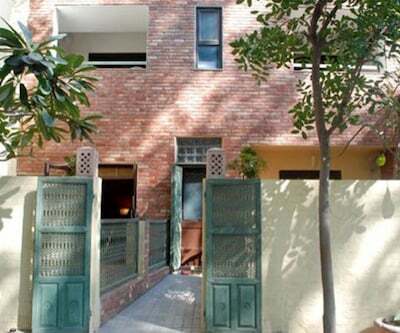 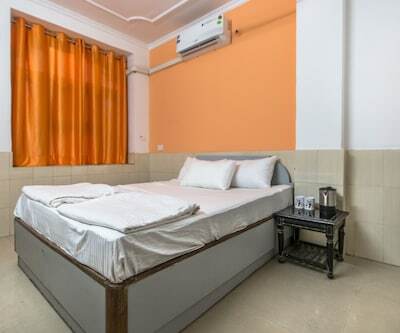 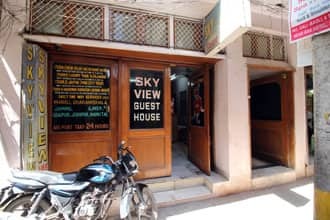 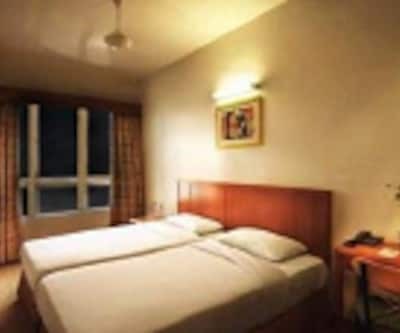 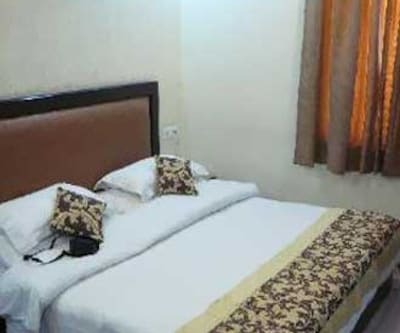 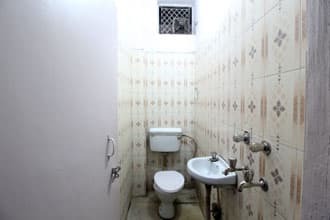 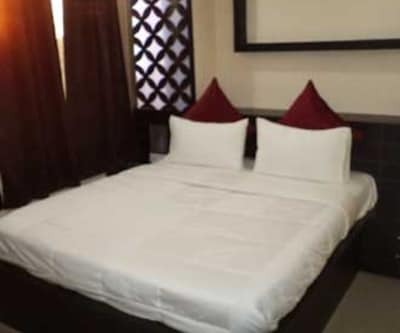 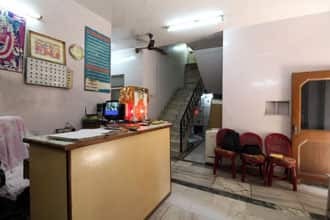 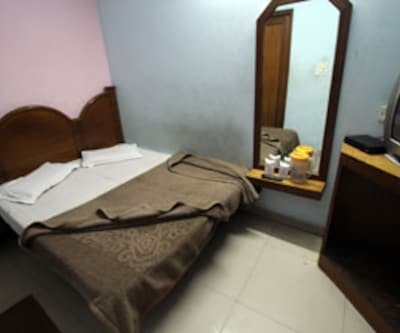 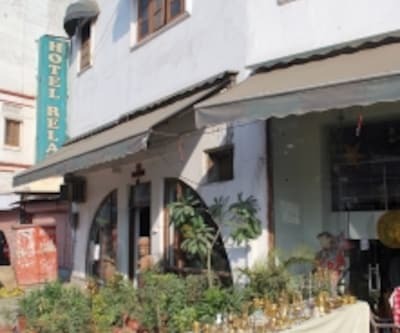 A few tourist spots guests can visit during their stay at Sky-View Guest House are Jama Masjid (Mosque; 4 km), India Gate (5 km), and Humayun's Tomb (8 km). 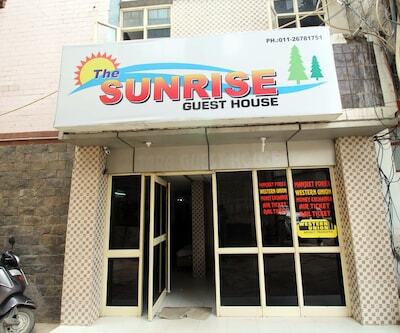 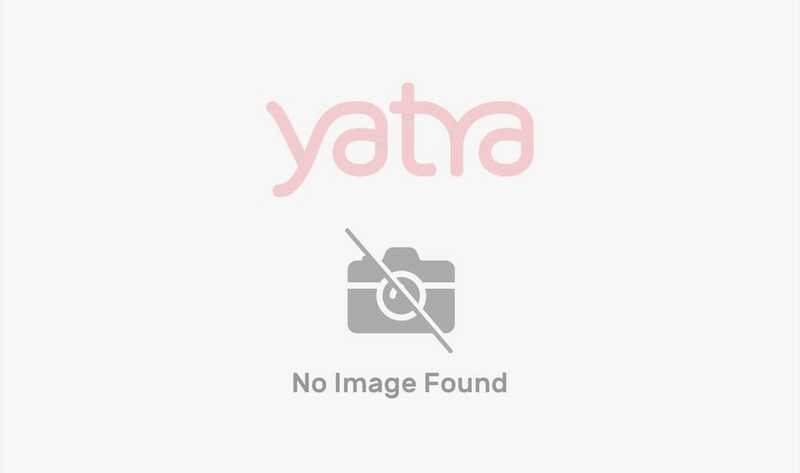 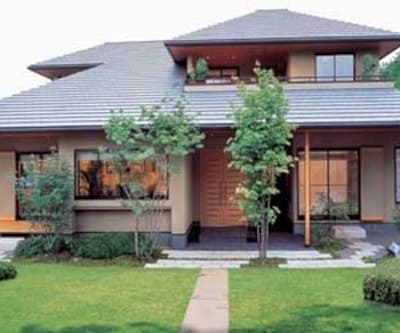 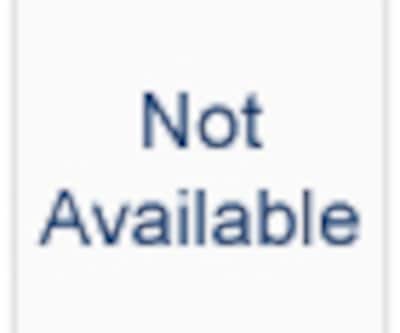 It offers tour and ticket booking services. 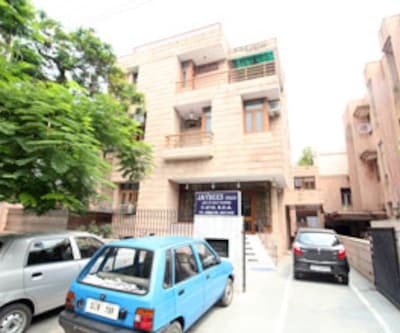 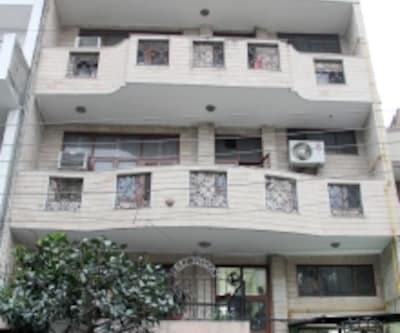 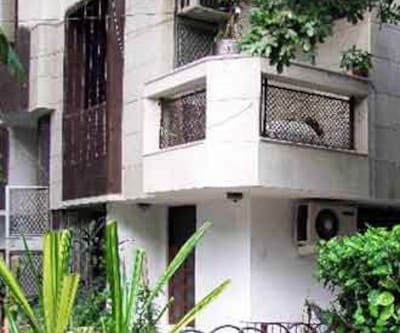 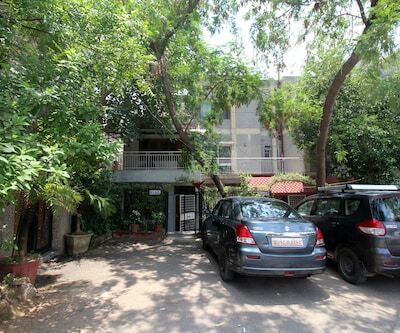 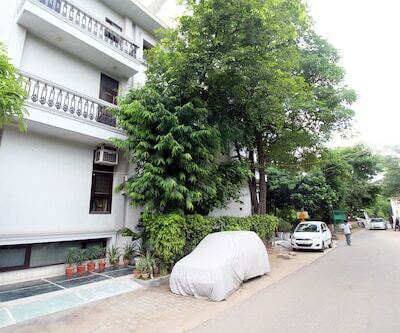 The Ramakrishna Ashram Marg Metro Station is at 1 km from this property, whereas the Indira Gandhi International Airport is at 14 km.